With the long weekend ahead people will be looking for days out and trips and things to do and Travelzoo have the perfect range fo local deals for you to promote to your users. If you require any more information or specific deals get in touch, we are happy to help. It's not too late to get a special last minute Mothers Day gift from Travelzoo. 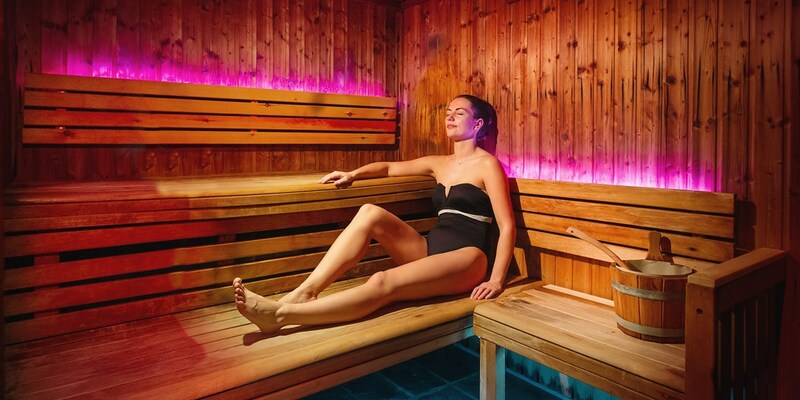 With loads of local deals to chose from Spa days to meals out there is a gift for every Mum and it's perfect for those last minute gifts as it's all just a downloadable voucher. There are a huge range of Spa Days, Restaurants, Lunches, Afternoon Teas, Getaways and Shows to choose from so check them out on this link and if you want anything specific or would like to give any of the offers a push out get in touch we can chat about a commission increase. If you have any questions or would like to discuss any promotion opportunities, please get in touch. Up to 63% off valentines day gift ideas! 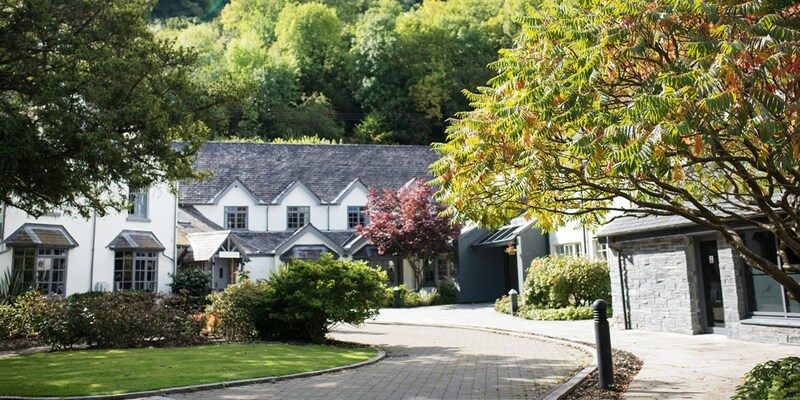 Wales getaway w/6-course dinner & champagne, 58% off! 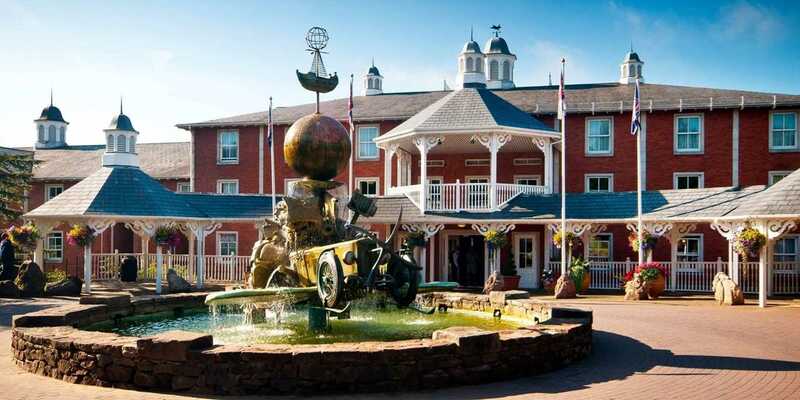 For £99, you can stay overnight at the Metropole Hotel & Spa -- a grand turreted Victorian property in the spa town of Llandrindod Wells in Powys. This package saves up to 58% compared to the regular price. 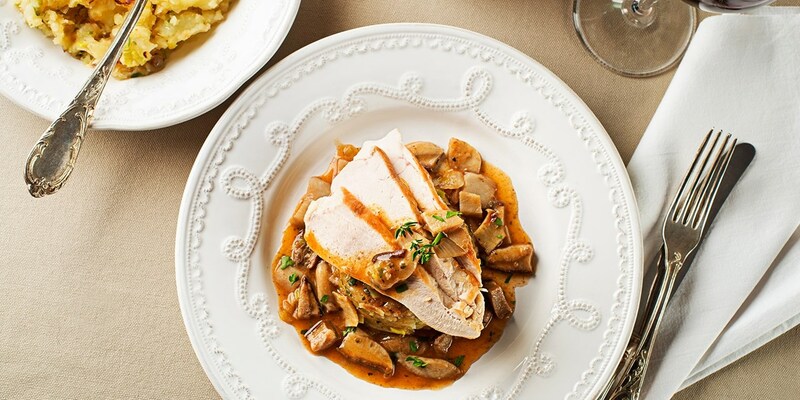 Café Rouge: 2-course meal for 2 at 72 locations, Only £19! You and a friend can now get a 2-course meal for two at a selection of Café Rouge* restaurants across the UK for less than £10 a head. 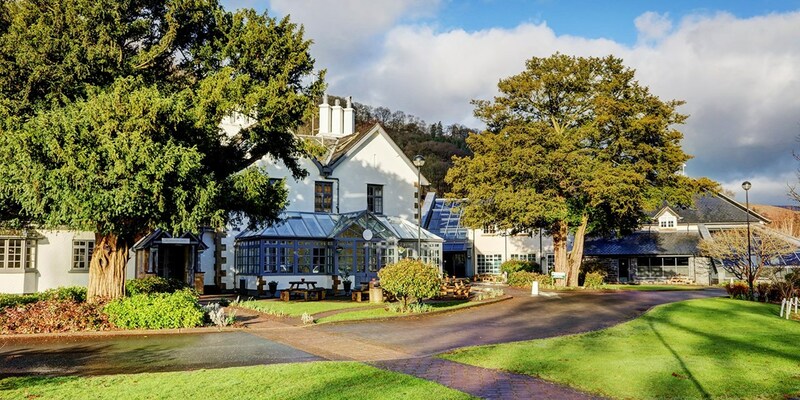 For £99 -- up to 45% less than usual -- you can snap up a perk-filled package for two at Combe House Hotel in Somerset's Quantock Hills Area of Outstanding Natural Beauty. 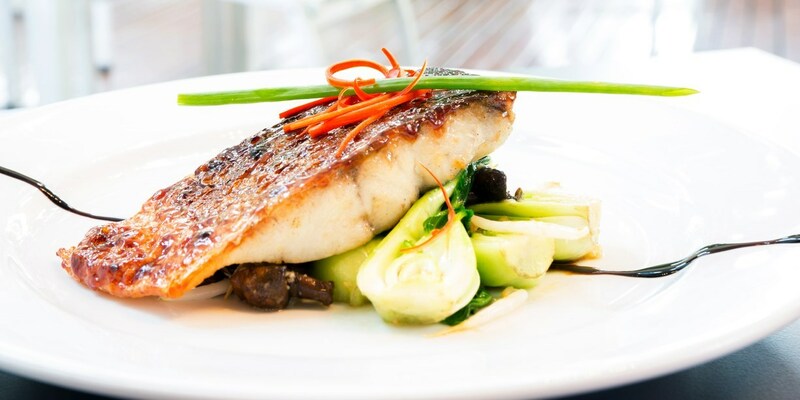 3-course meal & prosecco for 2 at Essex gem, only £29! Leigh Bistro, a local gem in Leigh-on-Sea, is now offering Travelzoo members a 3-course meal with bubbly for less than £15 a head -- that's a saving of up to 58% on the usual price. 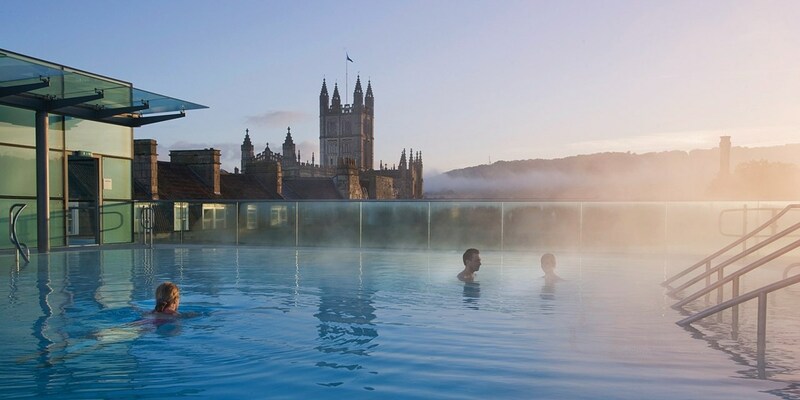 Central Bath getaway with meals, drinks & cream tea, Only £149! 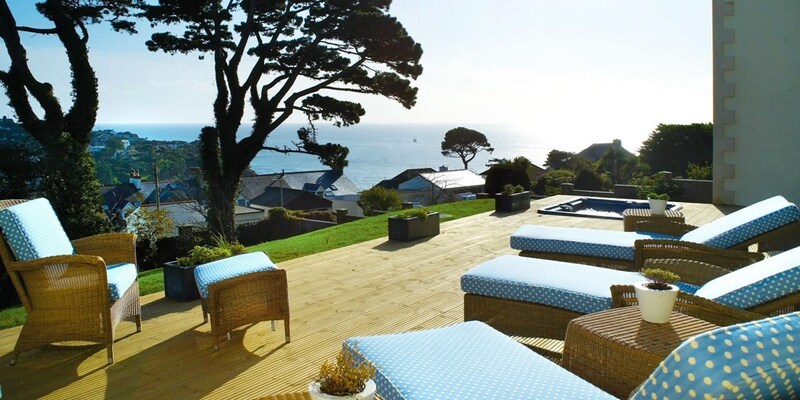 Cornwall spa day & cream tea in 'spectacular' setting, Only £49! 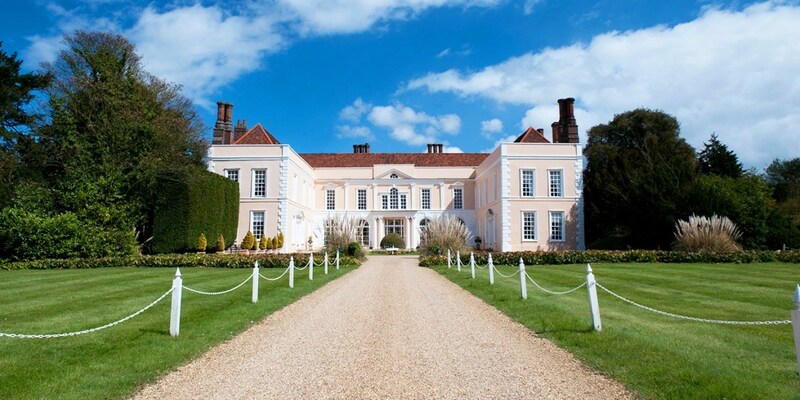 New Forest country retreat with meals, save 46%! 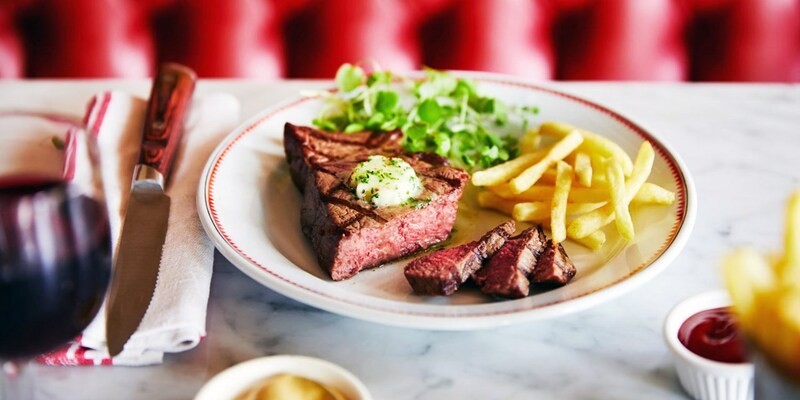 The Strand: steak, fries & cocktail for 2, save 63%! 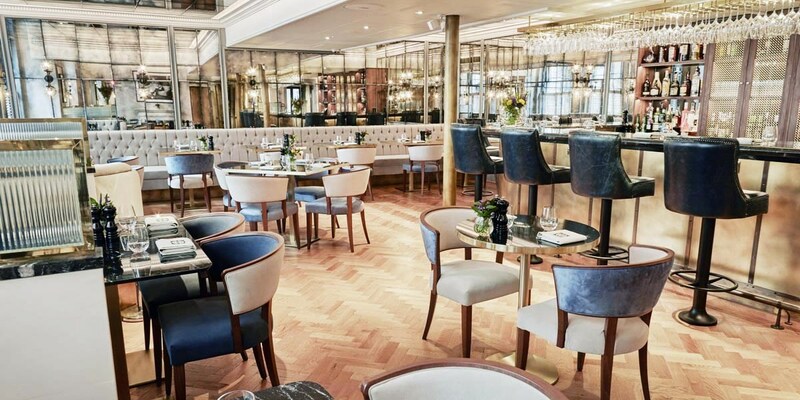 You and a friend can now visit Smith & Wollensky, just off the Strand, for a steak meal with unlimited fries plus cocktails for less than £20 a head -- that's a saving of 63%. 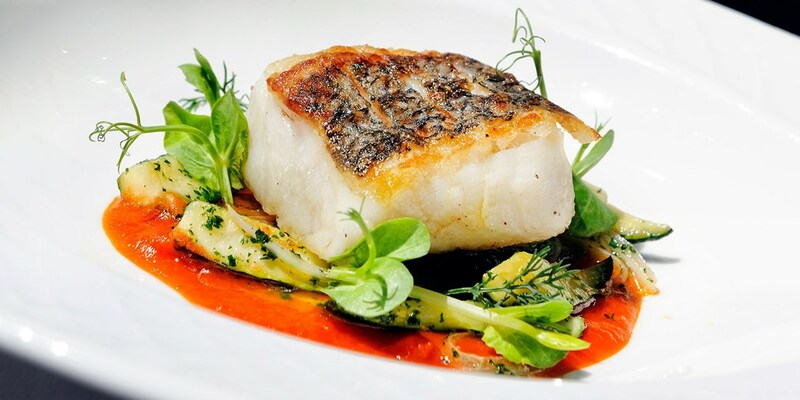 Marco Pierre White Lincoln: 2-course lunch for 2, Only £24! 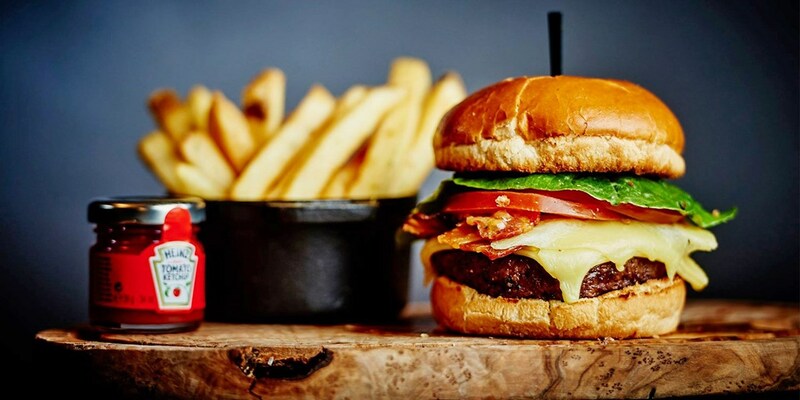 You and a friend can now get lunch at Marco Pierre White Steakhouse Bar & Grill in DoubleTree by Hilton Lincoln for £12 a head. 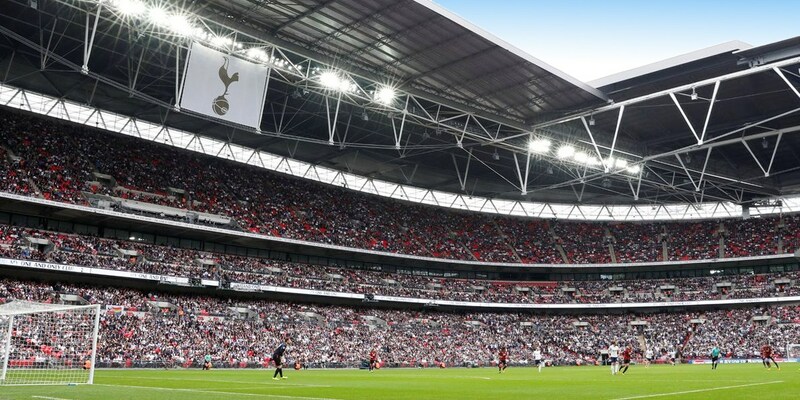 Spurs v Borussia Dortmund: hospitality package, 44% off! Tottenham Hotspur face Borussia Dortmund in the last 16 of the UEFA Champions League at Wembley Stadium on Wednesday, 13 February. 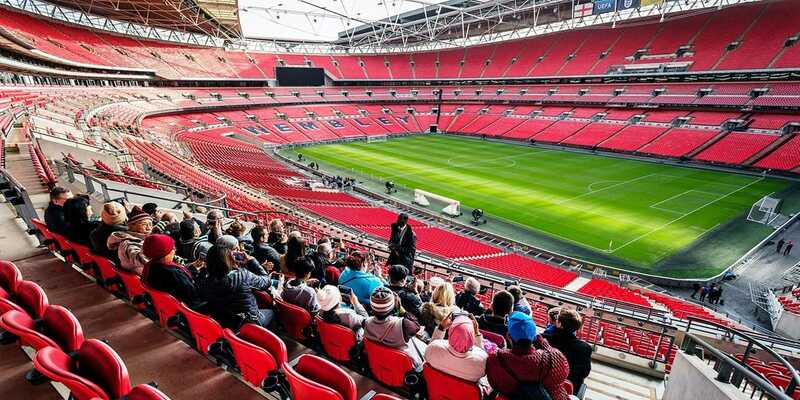 With this offer, you can save 44% on the usual cost of a hospitality package, including a Club Wembley seat, food, drinks, meet-and-greet opportunities and more. 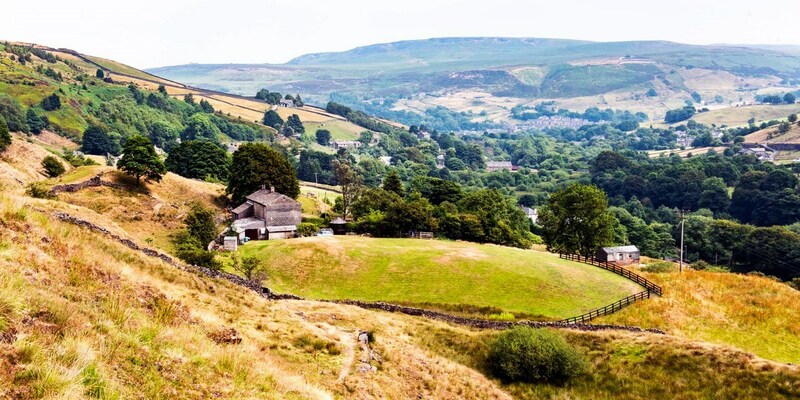 North Yorkshire stay w/bottle of champagne, 50% off! The White Swan Inn is a 16th-century hotel in Pickering -- a historic yet "lively" (Lonely Planet) market town on the edge of the North York Moors National Park. 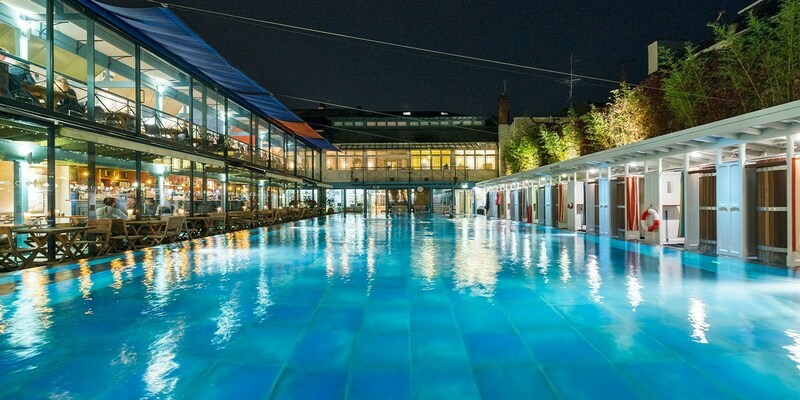 An overnight stay at this 3-AA-Silver-Star hotel is now £109 -- saving you 50%. 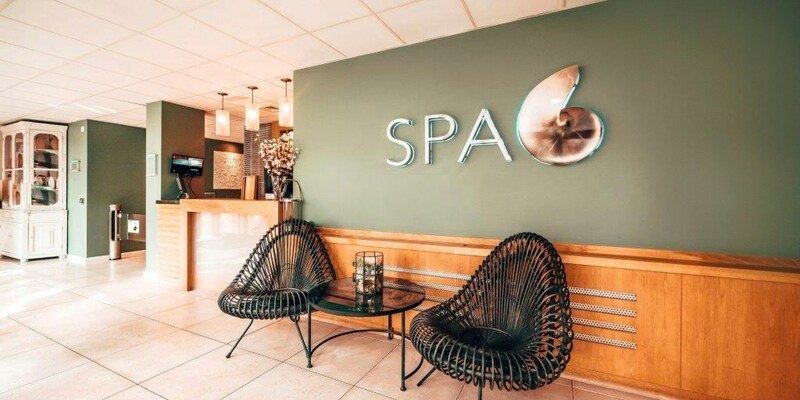 Massage, facial, lunch & bubbly at new Hampshire spa, Only £49! 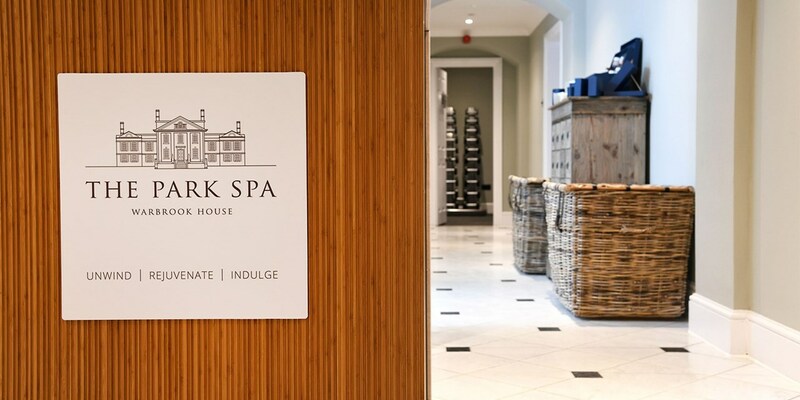 You can now visit the newly opened spa at Warbrook House in Eversley for a spa treat and either lunch or afternoon tea for £49, saving up to 53% on the regular cost. 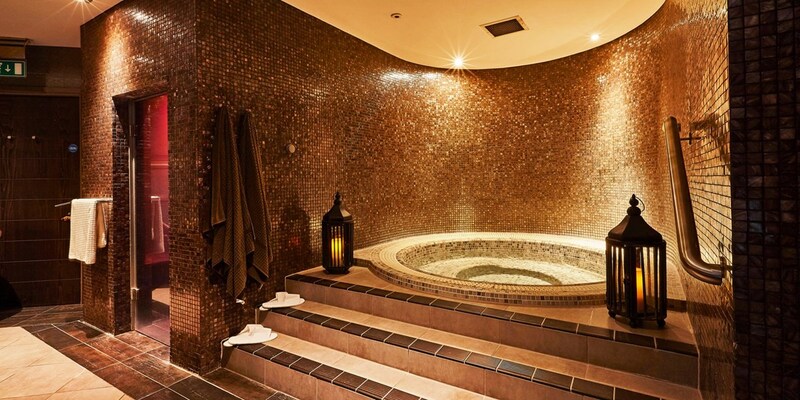 Spa treat: facial, thermal suite & afternoon tea, Only £29! You can get a spa package with afternoon tea at Heacham Manor, a Grade II-listed house that was built in 1580, for £29, saving up to 48% on the regular cost. Valid daily until 31 March. The spa is open between 10am-5pm. Afternoon tea is served between 2:30-5pm. 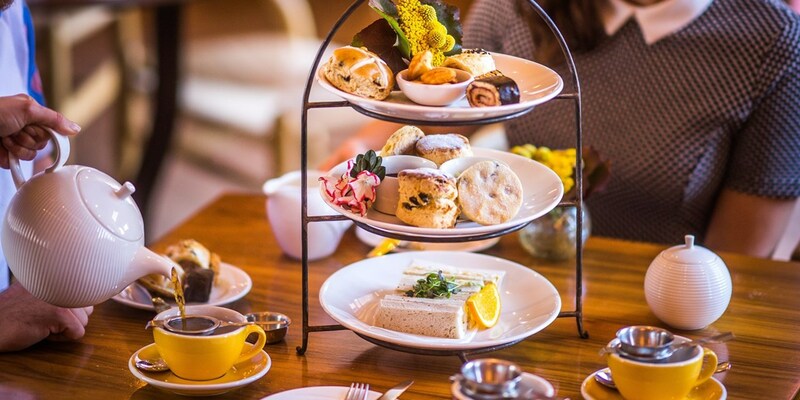 Afternoon tea for 2 in Manchester, save 40%! 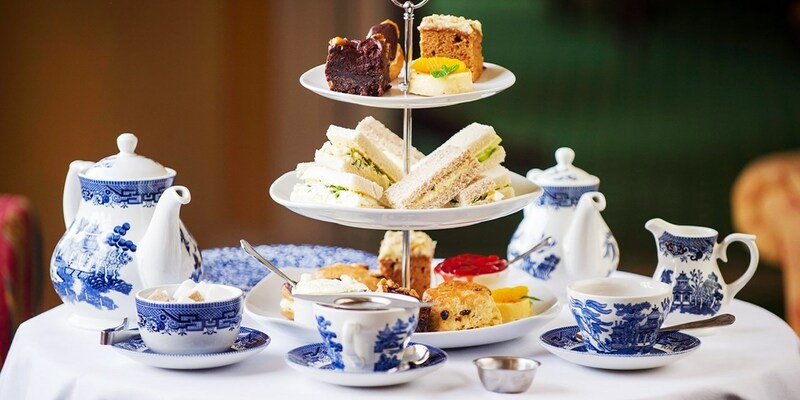 Afternoon tea for two is now £19 instead of £32 at Chancellors Hotel, a Grade II-listed Victorian mansion on the edge of Manchester city centre. 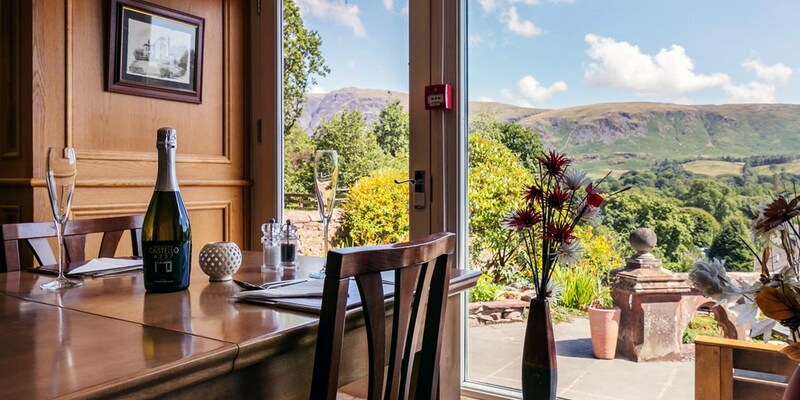 Lake District getaway with breakfast & wine, 41% off! 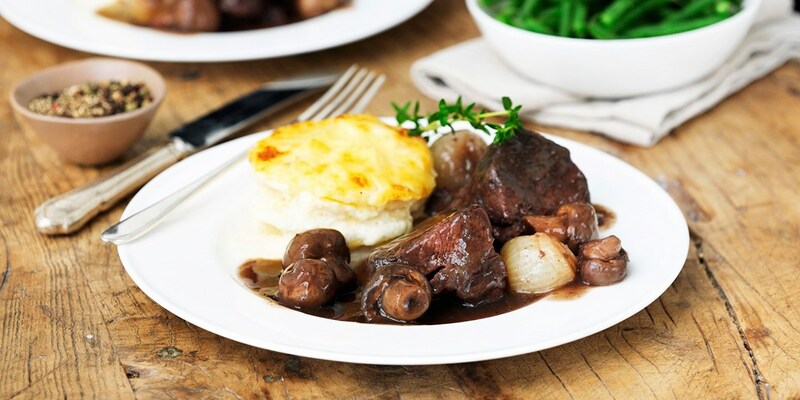 'Impressive' 2-course meal for 2 at Wiltshire inn, Only £25! 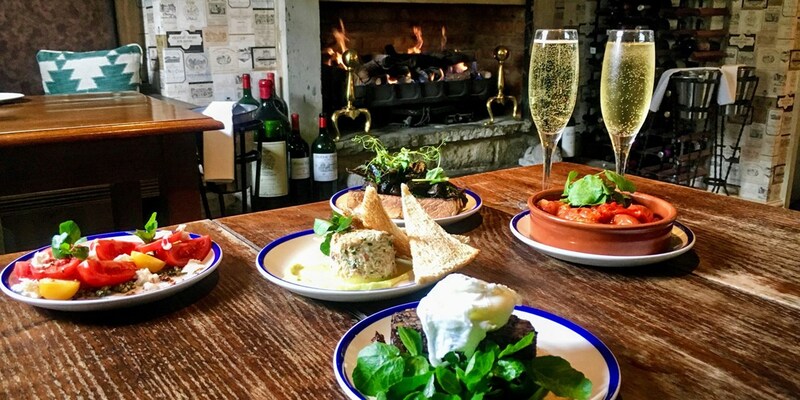 A meal at The Old House at Home near Chippenham "should not be missed", according to The AA. You and a friend can now visit for lunch or dinner for £12.50 a head. 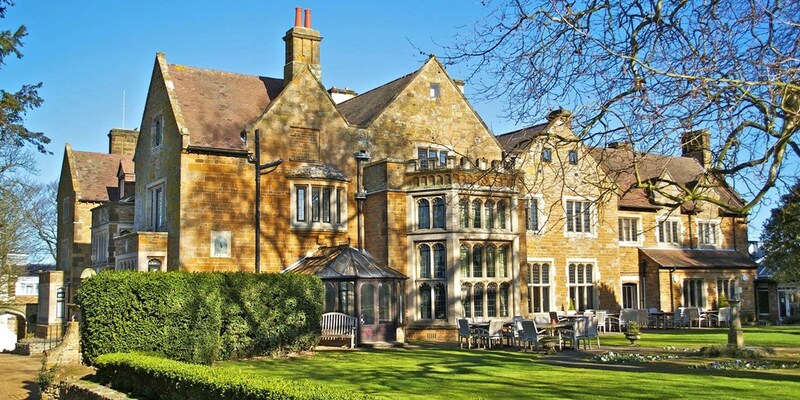 Northamptonshire break with 3-course dinner, 42% off! 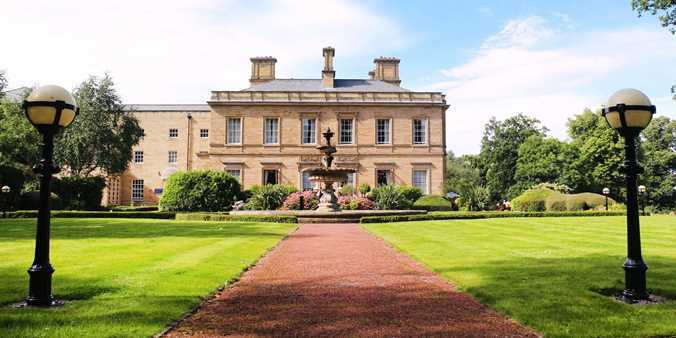 Escape to a 17th-century property in rural Northamptonshire and save up to 42% on the usual cost. 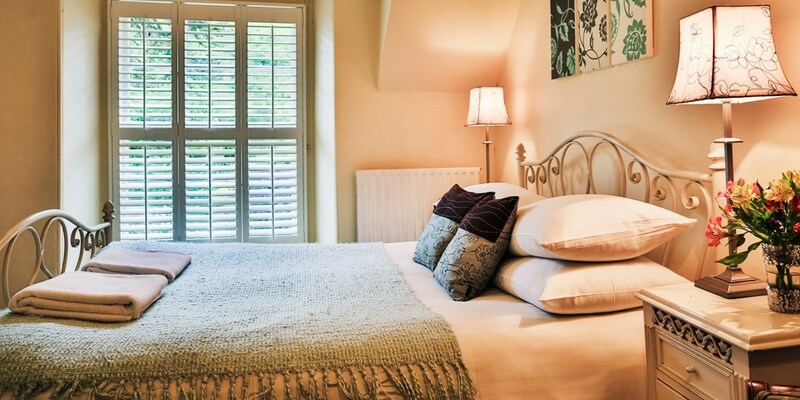 Stays at Highgate House start from £89. 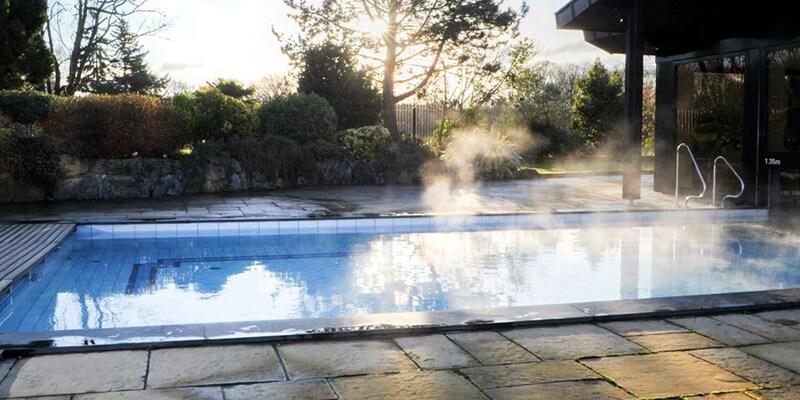 Lake District spa day with treatment & afternoon tea, Only £39! The Wordsworth Hotel & Spa in the Lake District offers "high levels of style and luxury" as well as "sublime" views of Grasmere, says The AA. You can now visit for a spa day with a 25-minute treatment and afternoon tea with drinks for £39. 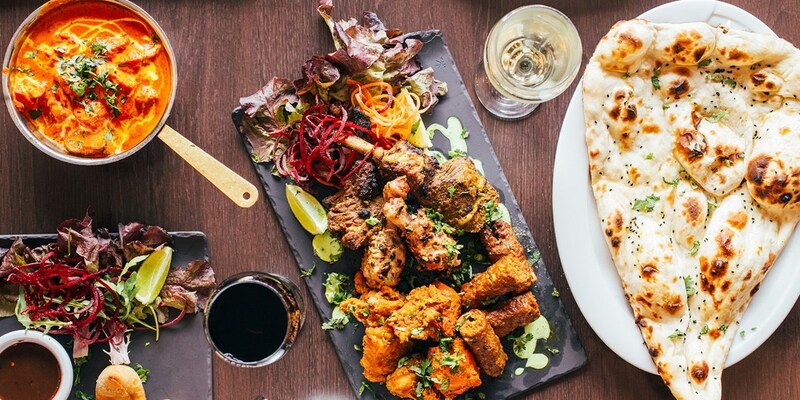 Indian tasting menu & bubbly for 2, save 42%! 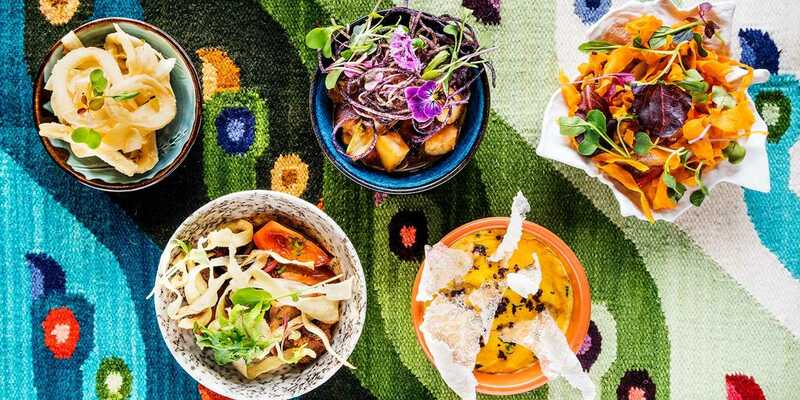 Mint and Mustard in Cardiff "flies the flag for modern cooking from South India and beyond", says The Good Food Guide 2019. You and a friend can now visit for a tasting-menu lunch or dinner with bubbly for less than £25 a head. Fresh new local deals from Travelzoo! 2-night historic Devon inn stay, save 50%! 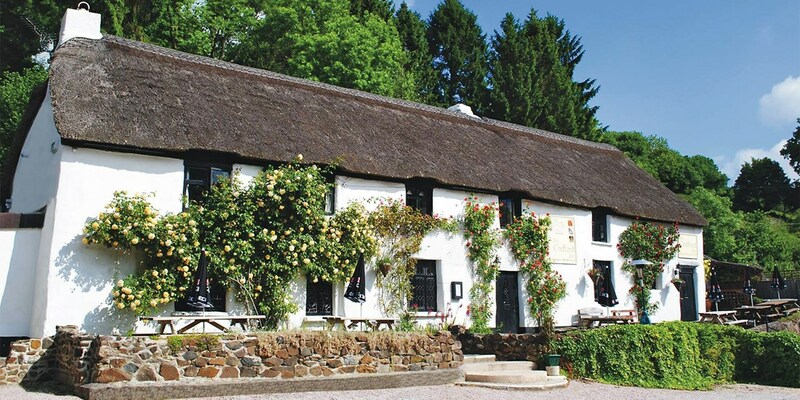 Dating back to 825AD, The Cridford Inn is a charming Devon longhouse with bundles of character. A cosy winter mini break is now less than £25 per person, per night, saving 50% on the usual price. Afternoon tea for 2 at 'chic' Warwickshire bistro, 33% off! 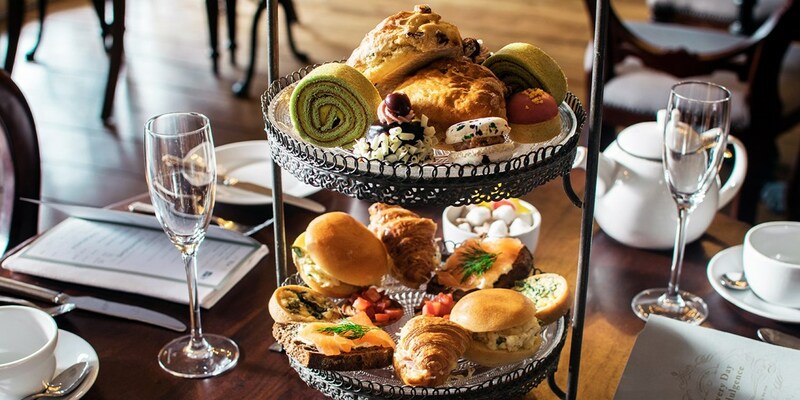 Afternoon tea for two at the "chic" and "unpretentious" (The Daily Telegraph) Hotel du Vin & Bistro Stratford-upon-Avon, which is set inside an 18th-century townhouse near the River Avon, is now less than £15 a head. 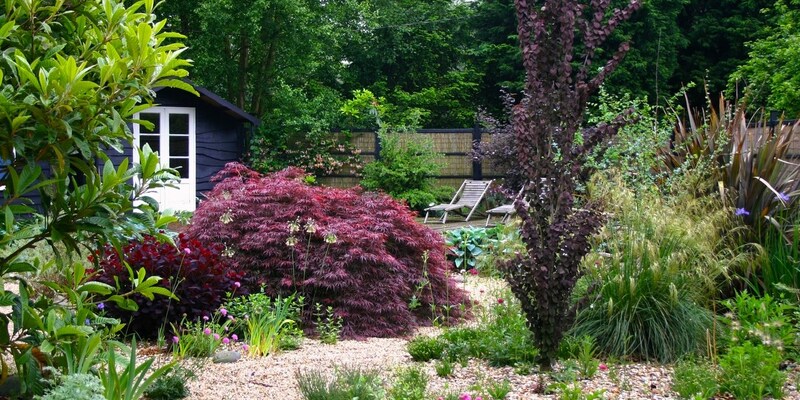 New Forest break at 'charming' cottage hotel, 52% off! You can now stay overnight at the Cottage Lodge Hotel, a "quirky" and "charming" (The Guardian) hotel in the middle of New Forest National Park, for £65. This deal is less than half the price. 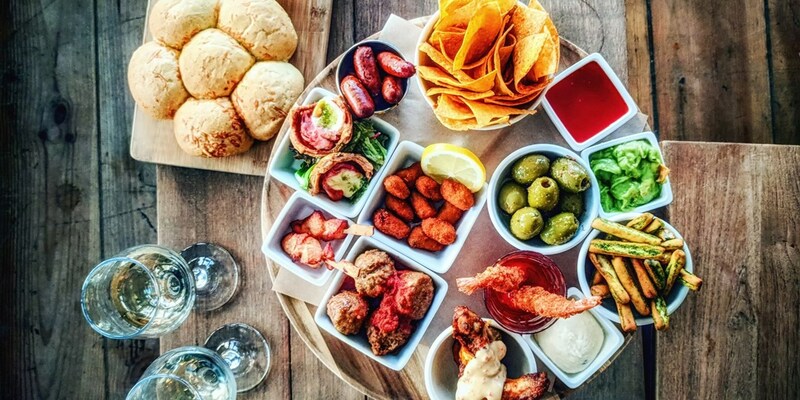 Tapas & bubbly for 2 at Yorkshire 'foodie haven', Only £25! 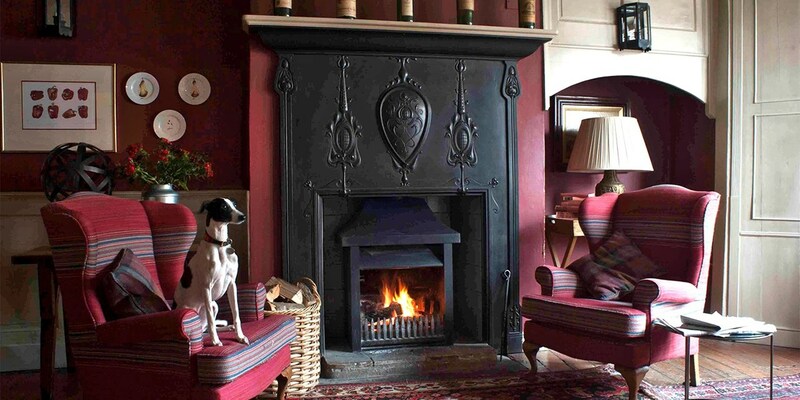 The White Swan Inn in Pickering is a stone-built 16th-century coaching inn that has been awarded a Rosette by The AA. You and a friend can now visit for tapas and bubbly for £12.50 a head. 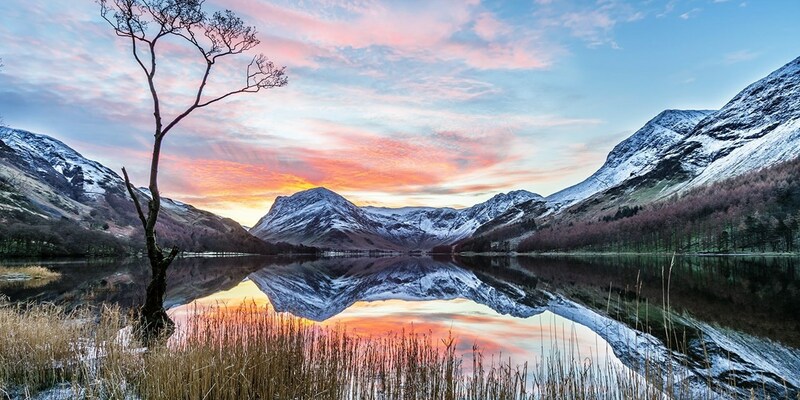 Lake District stay w/breakfast & cream tea, 47% off! 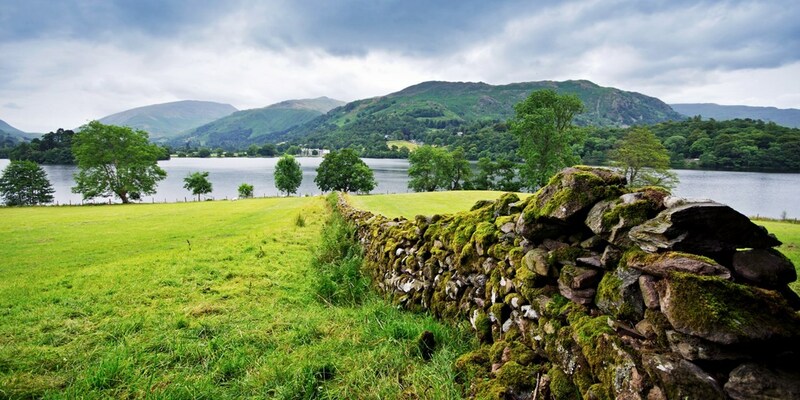 Grasmere is "one of the Lake District's prettiest villages", according to The Daily Telegraph. 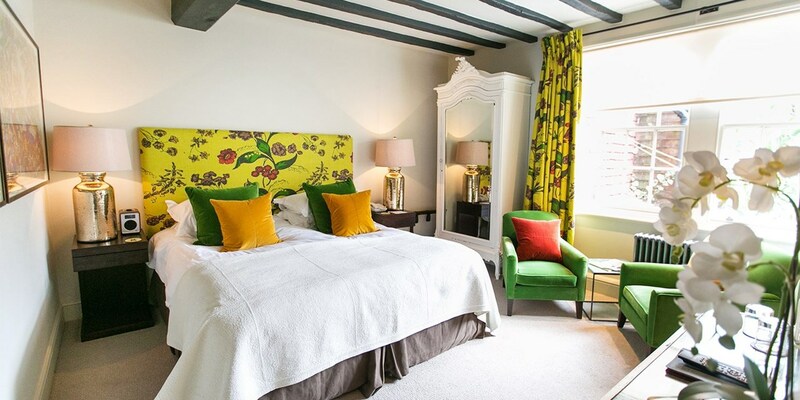 You can get a 2-night break in a recently refurbished room at The Inn at Grasmere from £74.50 per person, saving up to 47% on regular prices. 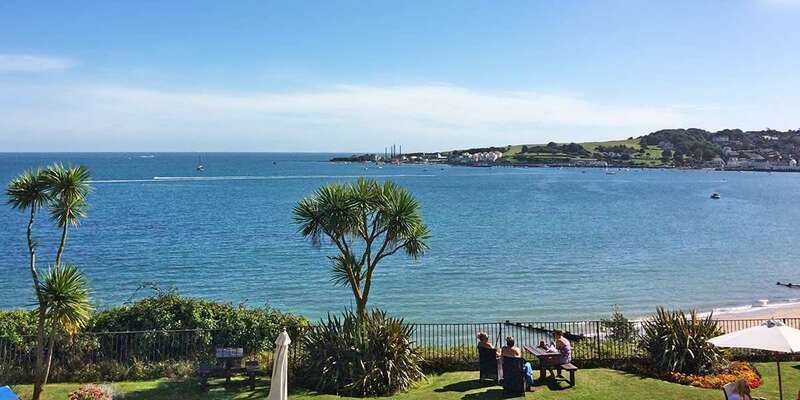 Cornwall: seaside Falmouth getaway w/meals, 39% off! Rye: historic inn stay with breakfast, up to 45% off! 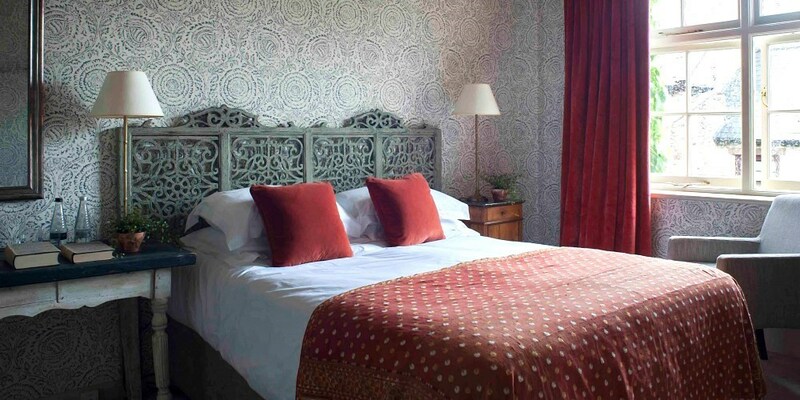 Bed-and-breakfast stays for two at The Mermaid Inn in East Sussex are now £99 -- shaving up to 45% off the usual price. This former smugglers' hideaway is on a "storybook lovely" (The Daily Telegraph) street in Rye. 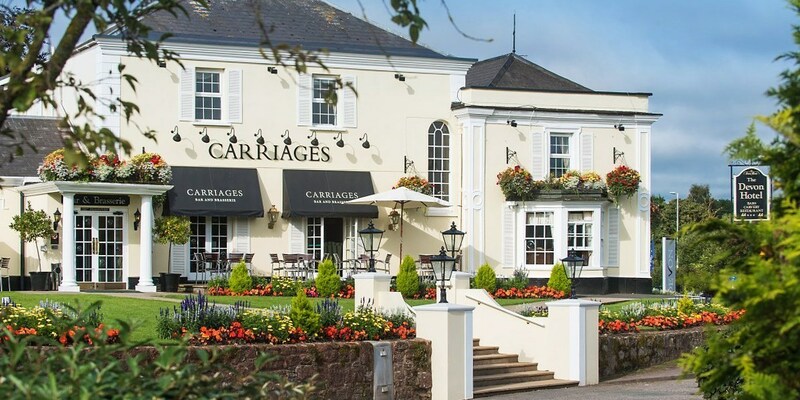 Devon break near Exeter inc meals & bubbly, save 41%! 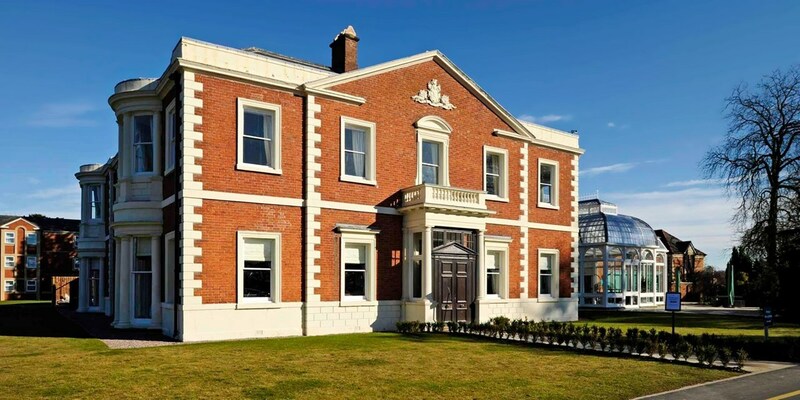 Just 10 minutes outside the cathedral city of Exeter, the Devon Hotel is in a prime spot for exploring historic houses, grand gardens and the area's stunning coastline. An overnight stay for two is now less than £55 per person, including meals and prosecco, saving 41% on the regular rates. An Extra 10% off Last Minute Gifts! Stuck for last minute Christmas Gifts? Grab an extra 10% off over 400 christmas gifts from Travelzoo, no need to wait to wait for delivery have them sent to your inbox instantly! Extra 10% off Last Minute Christmas Gifts! Grab an extra 10% off over 400 gift ideas across the UK. With huge discounts on soothing spa days, indulgent afternoon teas, award-winning shows, fine dining, relaxing getaways, family activities & more. Simply print off the gift voucher at home and pop it in a Christmas card. Find the perfect christmas gift this year with Travelzoo! 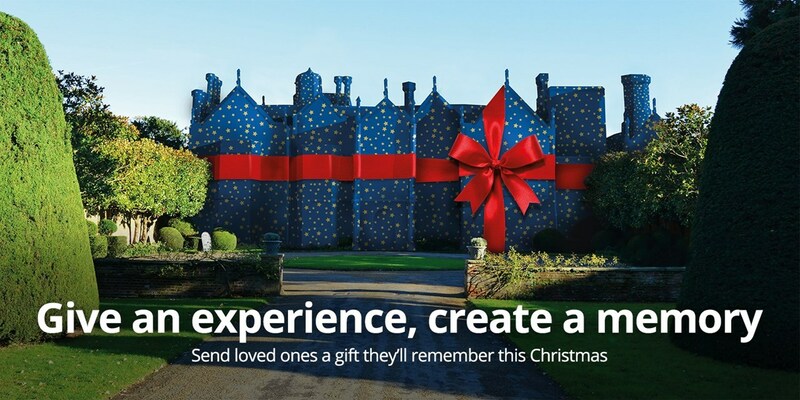 Give an experience and create a memory this Christmas! With huge discounts on soothing spa days, indulgent afternoon teas, award-winning shows, fine dining, relaxing getaways, family activities & more. You can add a personalised gift pack at checkout, which we'll deliver to the recipient by post. Or you can simply print off the gift voucher at home and pop it in a Christmas card. 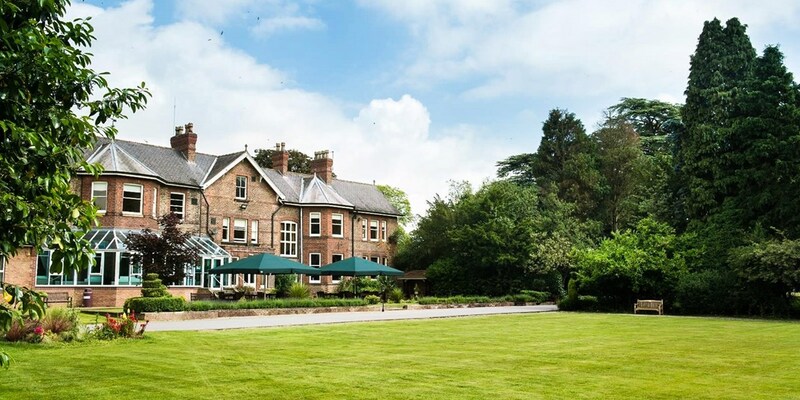 Top-rated Warwickshire spa: access & afternoon tea, £53.10 with code! 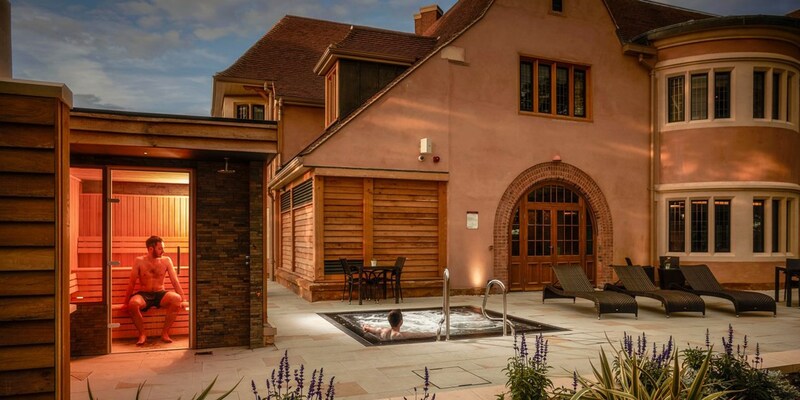 Elan Spa at Mallory Court Hotel is the "perfect place to escape", says The Good Spa Guide, which awards it five bubbles. With this offer, you can get access to the facilities, including the rhassoul, and afternoon tea for £59 -- saving 50% on the usual cost. Cheshire country pub: afternoon tea w/cocktails for 2, £26.10 with code! The Bridge is a Grade II-listed country pub and hotel in the village of Prestbury. You and a friend can now visit for afternoon tea and a cocktail for less than £15 a head -- that's a saving of 48%. 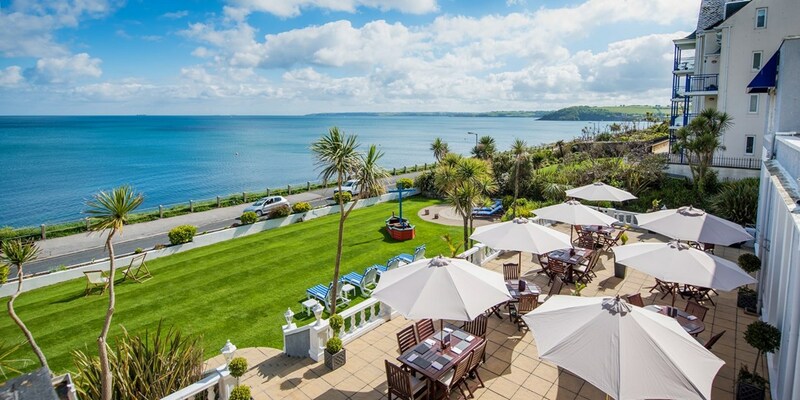 South Devon escape with meals & prosecco, £89.10 with code! 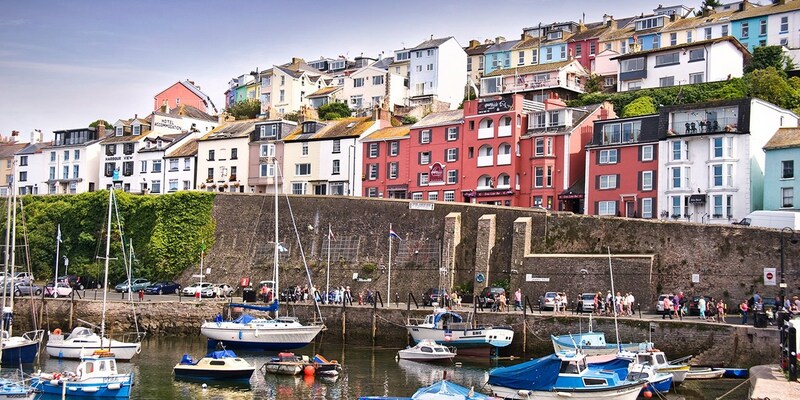 Overnight stays at Quayside Hotel in Brixham, which is made up of six former fisherman's cottages overlooking the town's picturesque harbour, are now £99, saving 44% on the usual price. 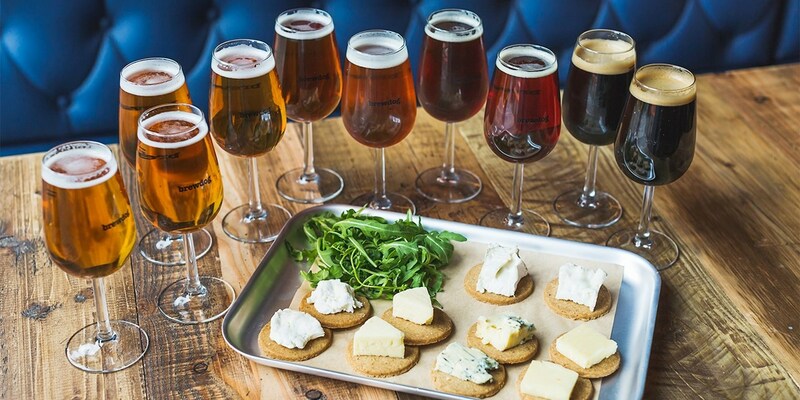 BrewDog beer tasting for 2 at 35 venues across the UK, £18 with code! 12 bottles of wine inc bubbly, £40.50 with code! Historic Cumbrian castle escape, now only £99! 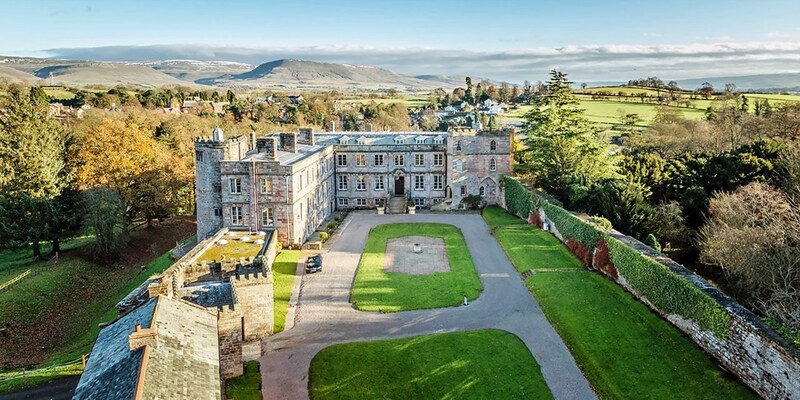 Appleby Castle is a rural retreat nestled between the North Pennines, the Lakes and the Yorkshire Dales. 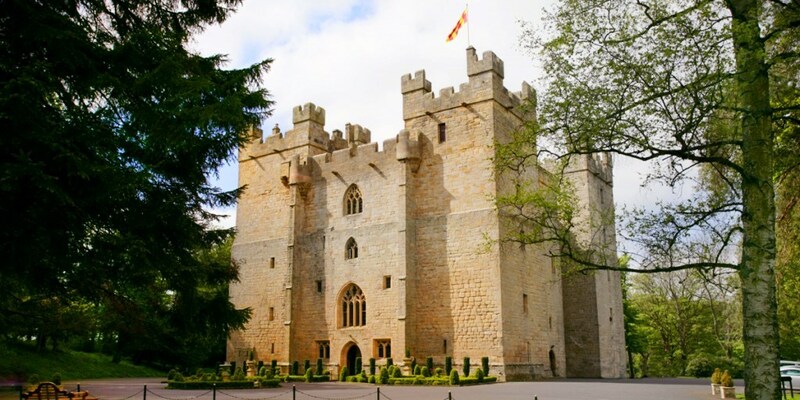 Be king of the castle with this 49%-off mini break that includes breakfast and a guided tour. 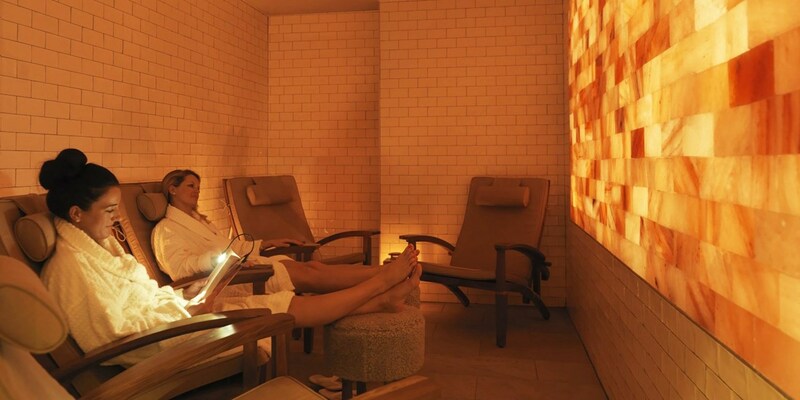 Cotswolds spa day w/treatments & lunch, 30% off! You can "relax in stunning waterside surroundings" at the "truly tranquil" Spa 6, says The Good Spa Guide. 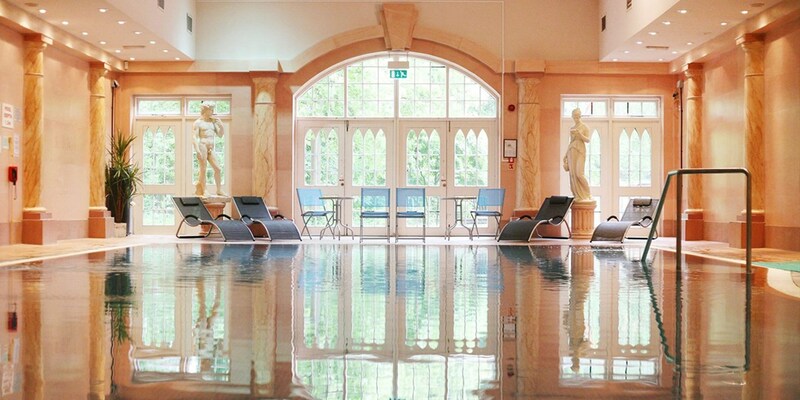 A spa day, including two treatments, all-day use of the facilities and either lunch or afternoon tea, is now £64. 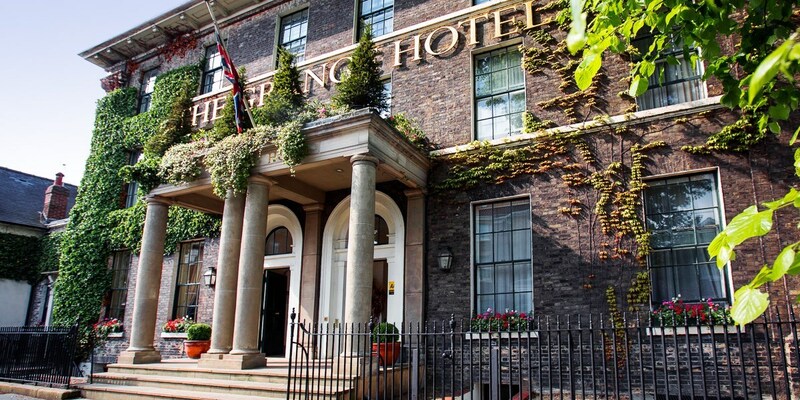 North Yorkshire coaching inn stay with cream tea, only £59! 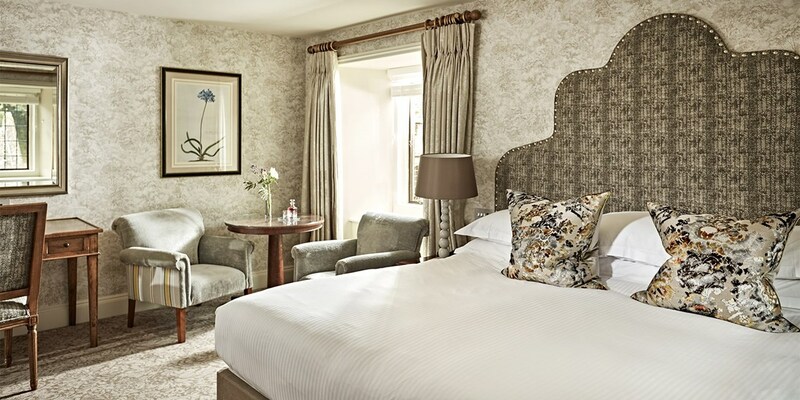 Escape to The White Swan Hotel & Restaurant, a village inn one mile outside the Yorkshire Dales National Park and less than five minutes' walk from the ruins of a 12th-century castle. This overnight stay saves up to 43% on the usual cost. 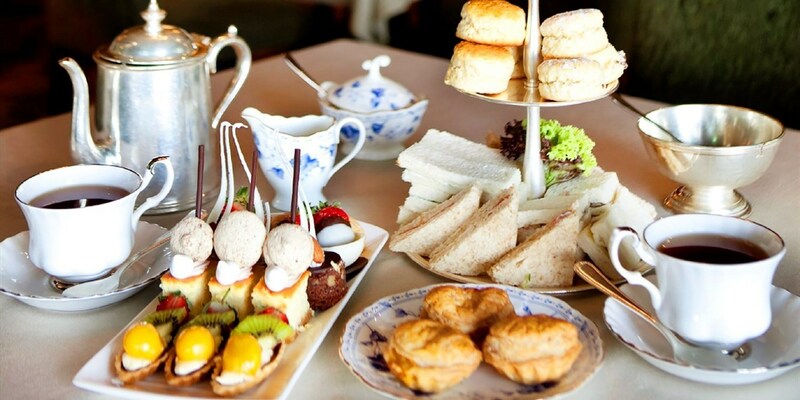 5-star St James's hotel: afternoon tea & bubbly for 2, Only £58! Travelzoo members can now get afternoon tea with sparkling wine for £29 a head at the AA 5-Red-Star* DUKES LONDON hotel, saving 30% on the regular price. 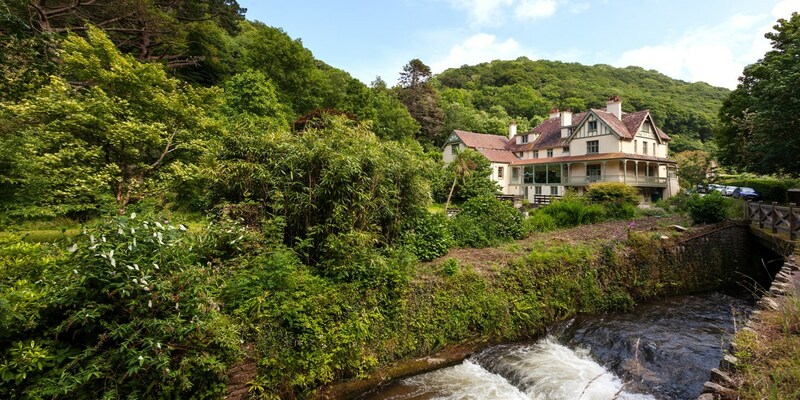 North Devon: 4-star stay inc meals, save 37%! 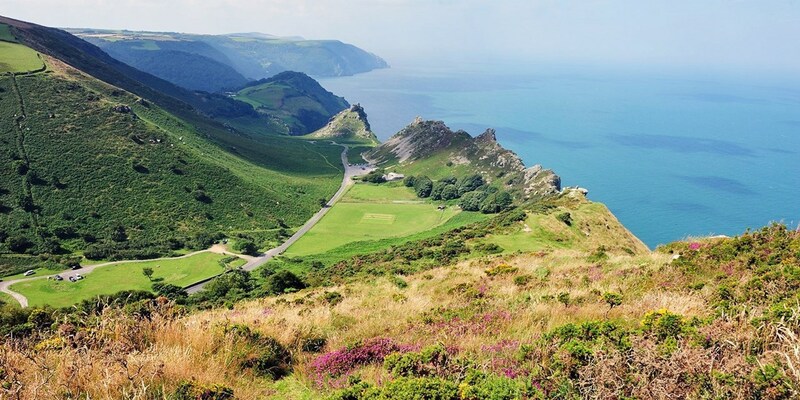 Save 37% on a cosy winter stay at The Park Hotel -- 20 minutes' drive from Exmoor and the North Devon coast. 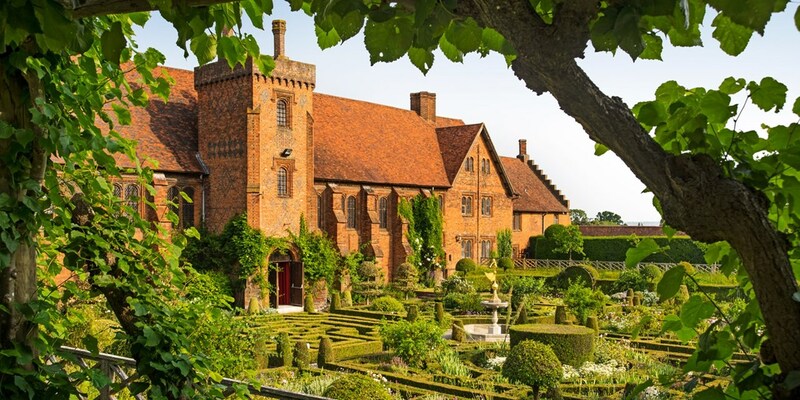 This exclusive dinner, bed and breakfast package is now less than £55 per person. 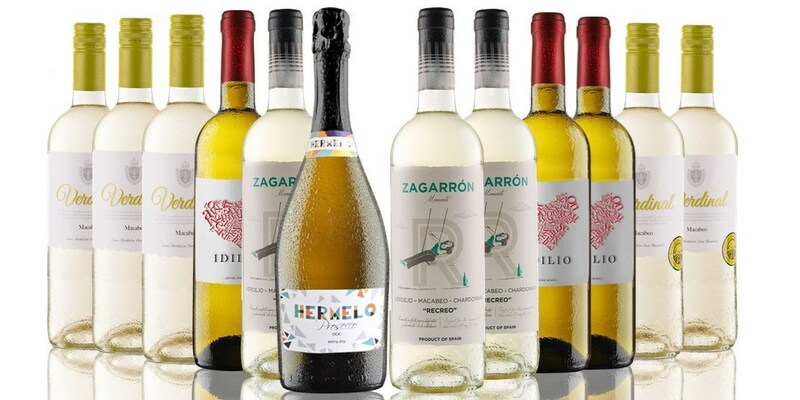 12 bottles of wine inc bubbly, save 65%! 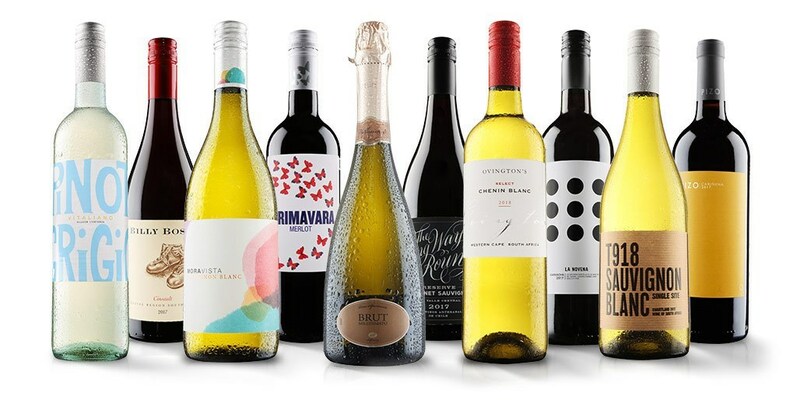 Kick off the festive season with this offer from Naked Wines, which gets you 12 bottles of wine, including a bottle of bubbly, delivered straight to your door for £45 instead of £129.88. Even with postage and packaging (£4.99), that's only £4.16 a bottle. 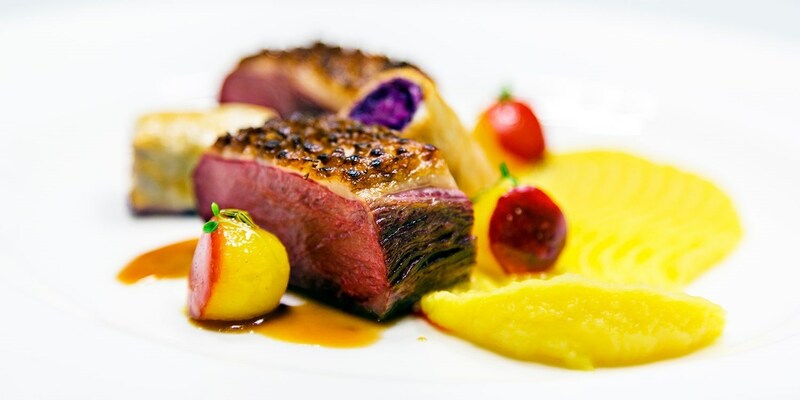 2-course meal & bubbly for 2 in Edinburgh, Only £29! According to The Herald, you can look forward to "perfectly cooked" dishes that are "packed with natural flavour" at Taisteal in Stockbridge. You and a friend can now get a 2-course meal with bubbly for less than £15 a head. 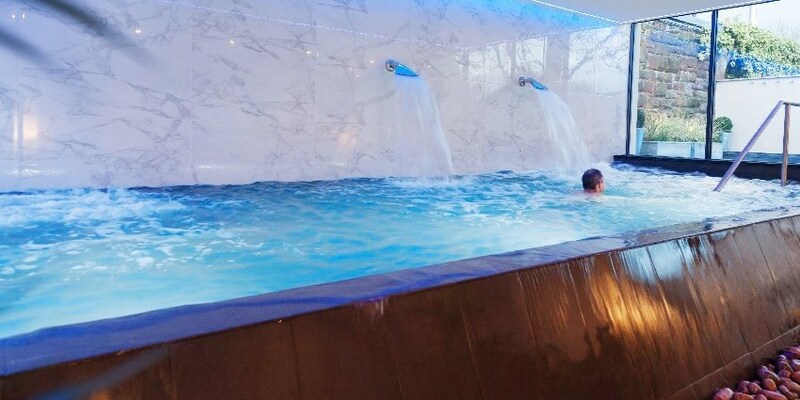 'Excellent' spa treatment & lunch in county Durham, Only £40! The award-winning Garage Spa at The Morritt Hotel received five bubbles from The Good Spa Guide for its "quirky and cool" design and "excellent treatments". You can now visit for a spa treat, including a treatment and lunch, for £40 instead of £59. 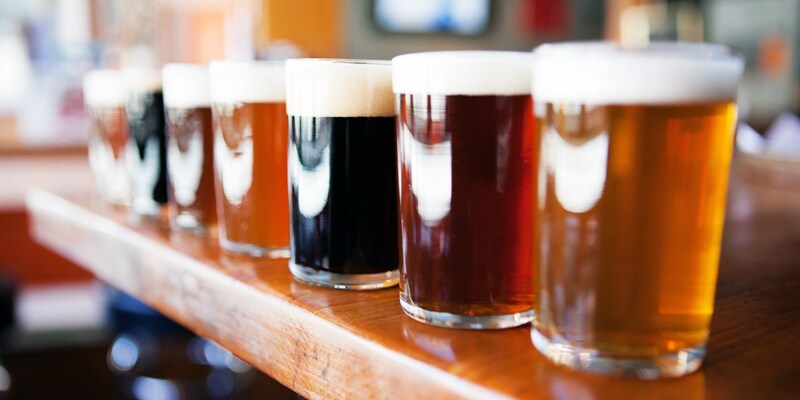 North Yorkshire brewery tour & lunch, 50% off! 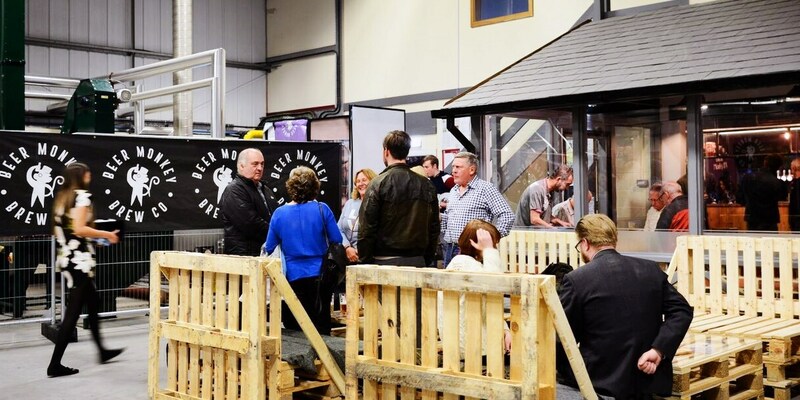 You can get a brewery tour with tastings and lunch at Beer Monkey Brewery -- which opened in Skipton in June last year -- for £10 instead of the usual £20. Afternoon tea & cocktails for 2 in Cheshire, 48% off! 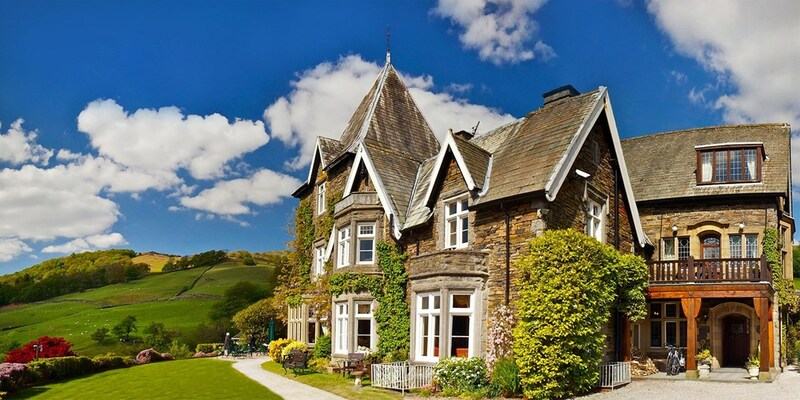 2-nt Lake District getaway near Windermere, save 33%! 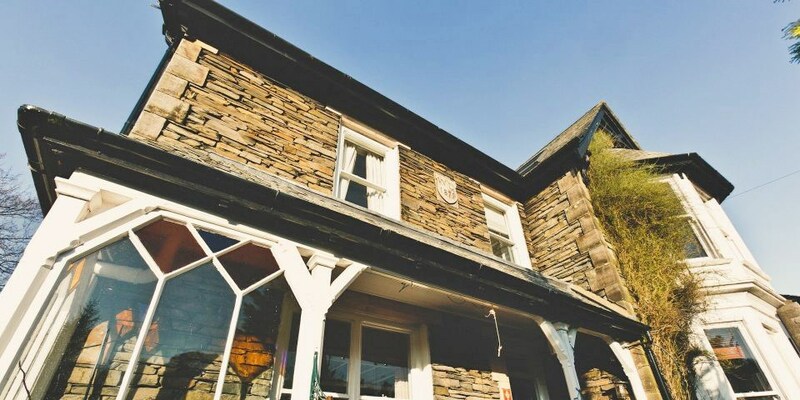 The Independent describes Rum Doodle B&B, which is a 5-minute drive from Bowness-on-Windermere, as a "stylishly whimsical guesthouse" that's "a breath of fresh air". 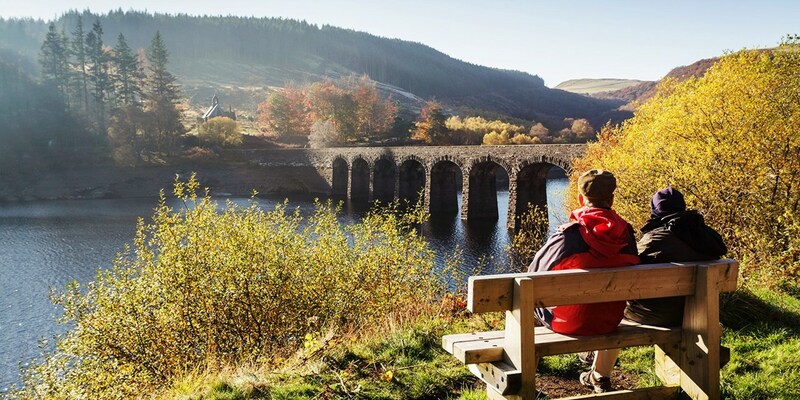 Two-night stays are now £119 -- saving up to 33% on the usual price. Michelin-starred meal & cocktail inc London views, member exclusive! 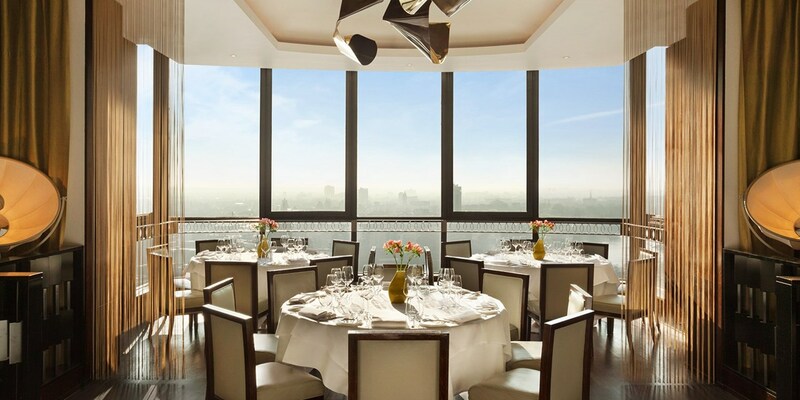 You can look forward to "glamorous eating in the sky" (The AA) at Galvin at Windows, which boasts three AA Rosettes and a Michelin star. A 3-course meal accompanied by a cocktail is now £30 a head. Christmas gifts from just £5.95! 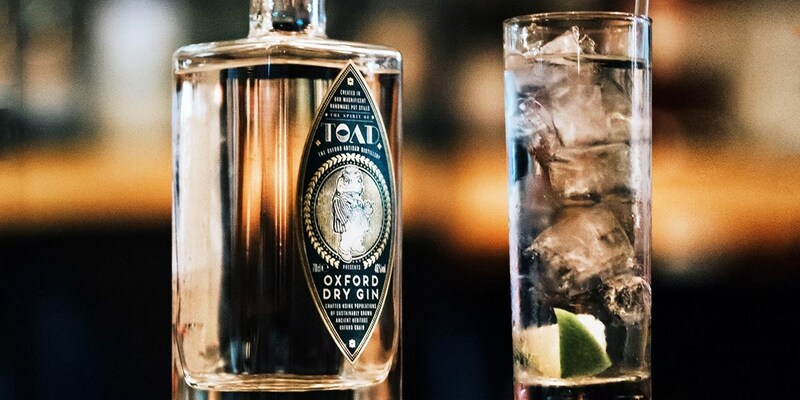 Oxford gin distillery: tour & tastings for 2, Only £25! 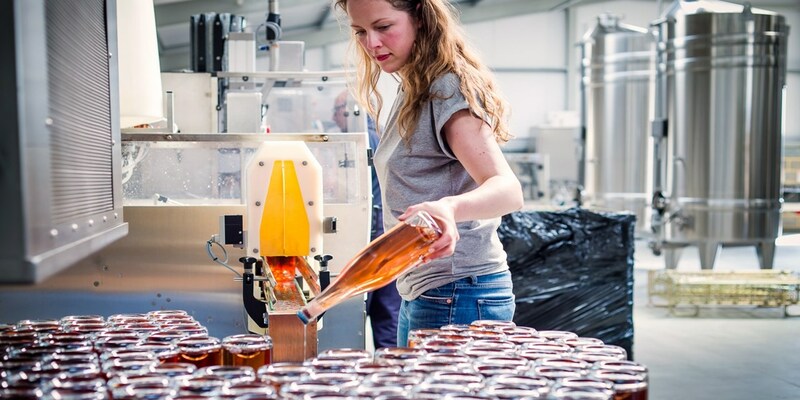 The Oxford Artisan Distillery opened in 2017 and has since featured on the BBC's "Countryfile". 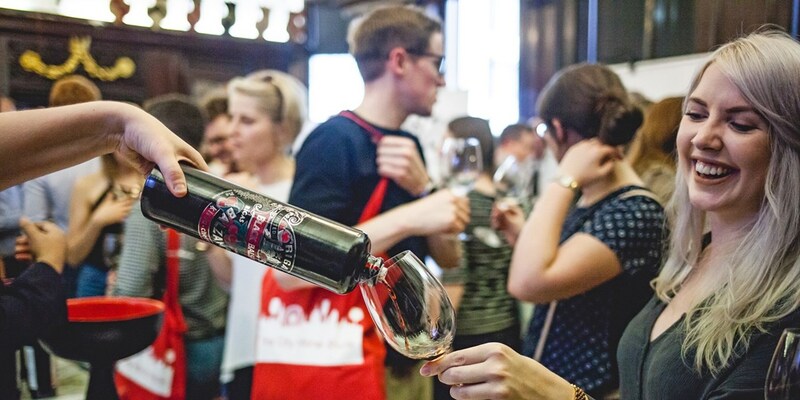 You and a friend can now visit for a 45-minute tour, including tastings, for £25. 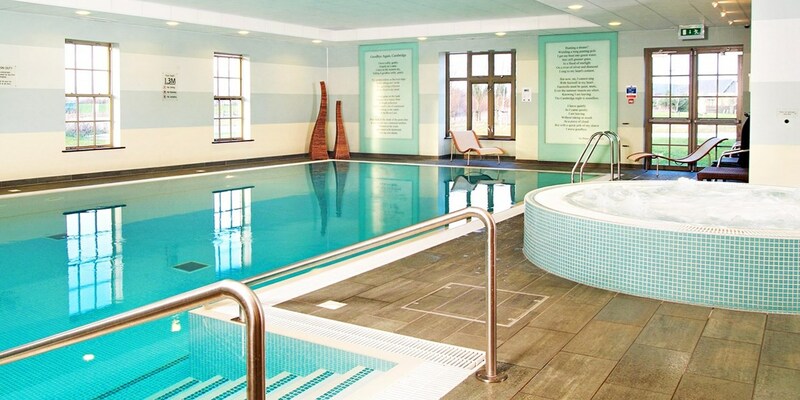 Suffolk spa treat w/facilities access, lunch & drink, Only £29! 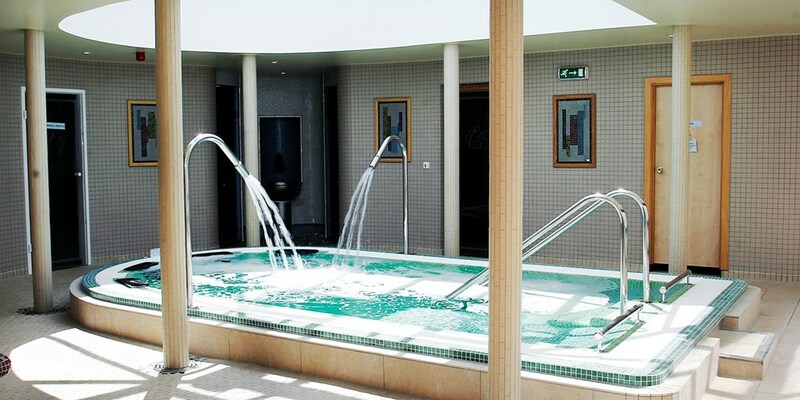 Ufford Park Hotel, Golf & Spa near Woodbridge "has everything you need for a spa day", says The Good Spa Guide, which awards the property a 3-bubble rating. 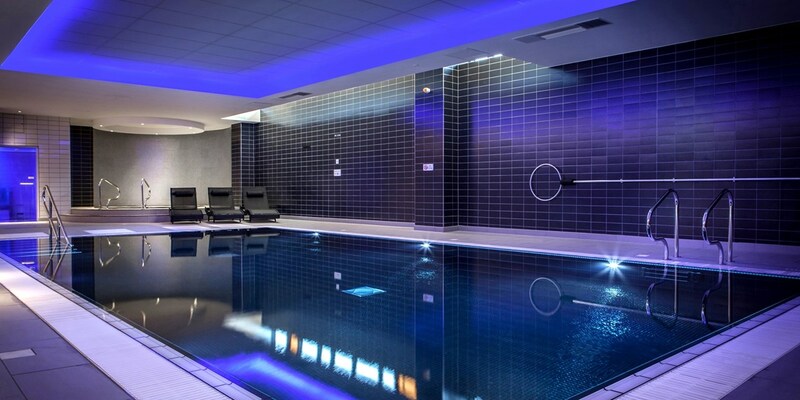 You can now get a spa treat, including use of the facilities, lunch and a drink, for £29. Birmingham: high-speed 3-hour driving experience, Only £49! 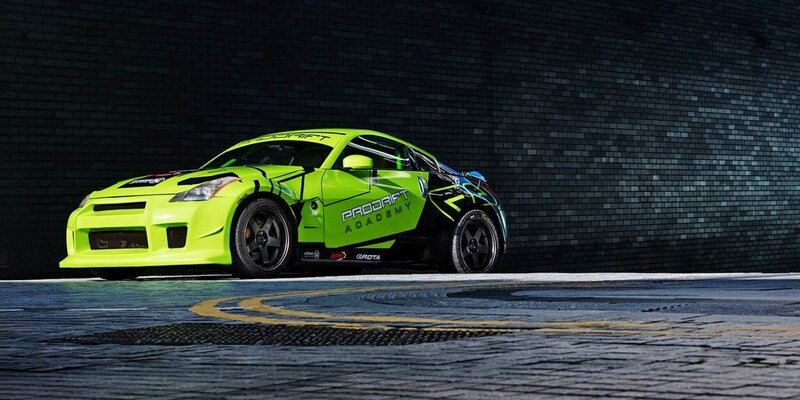 Learn drifting techniques with this 3-hour Adrenaline Pro Experience course from Prodrift Academy, which now costs £49 -- that's 58% less than the regular price. If you want to take your experience on a Saturday or Sunday, an £8 per-person supplement applies. 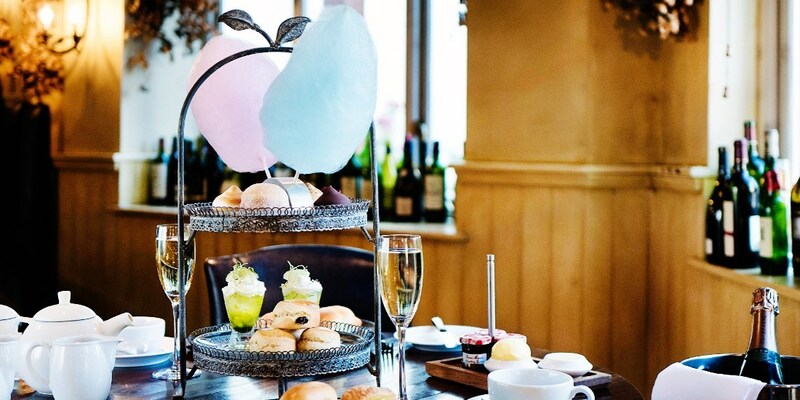 Afternoon tea & bubbly for 2 in Manchester, Only £29.95! 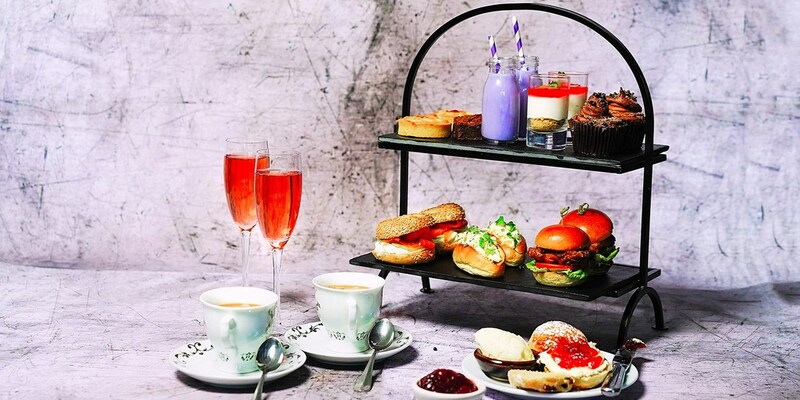 You and a friend can get afternoon tea and bubbly at the Malmaison Manchester -- which serves "totally delicious" food, according to HELLO! magazine -- for less than £15 a head. Cumbria: riverside stay with dinner & distillery tour, 47% off! 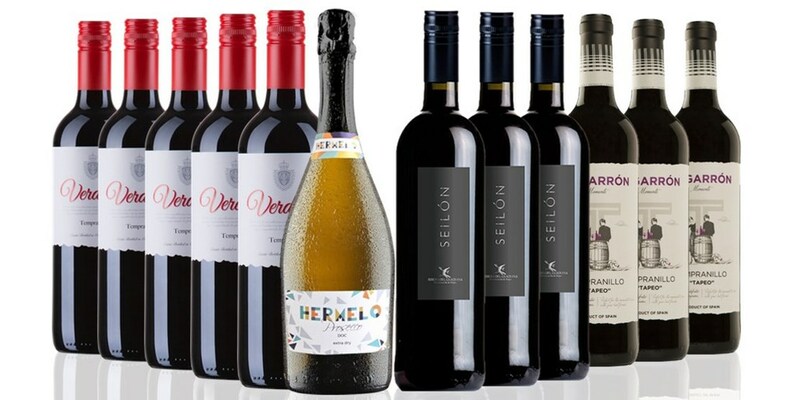 10 bottles of wine: red, white or mixed case, exc P&P - Only £39! Stock the wine rack ahead of the festive season with this offer from Virgin Wines. You can have a case of 10 top-notch wines including a bottle of bubbly, delivered straight to your door, for £39. Even with postage and packaging (£7.99), that's under £4.70 a bottle. Afternoon tea & canal boat cruise for 2, 62% off! 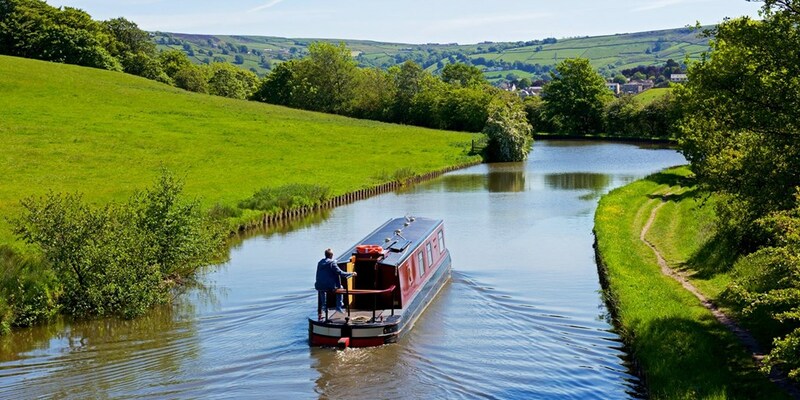 You and a friend can tuck into afternoon tea aboard one of Blue Swan Boat Hire's canal boats, while cruising down the Leeds and Liverpool Canal, for 62% less than usual. 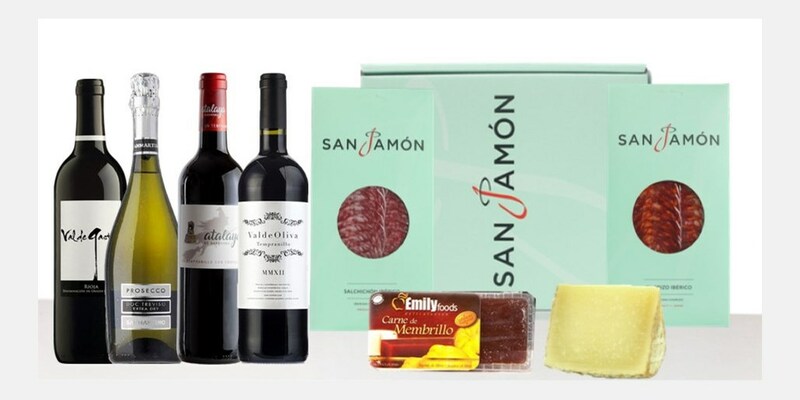 Spanish hamper w/food & wine (exc P&P) from £29! You can now choose from a selection of Spanish hampers from San Jamón, which include cured meats, cheeses and wines. You can get a hamper from £29 and save up to 51%. 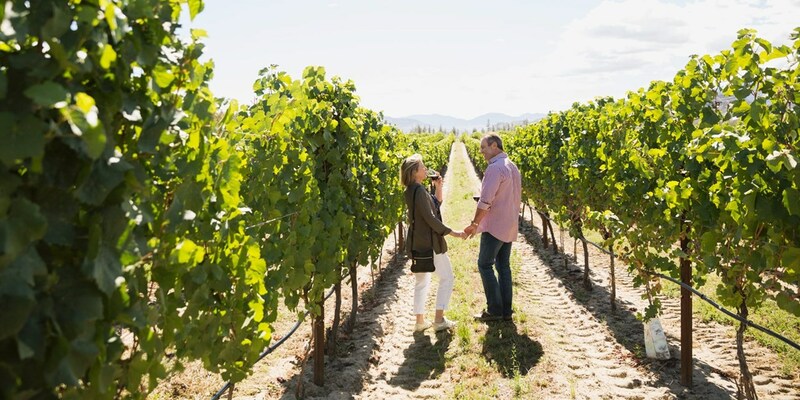 Kent: winery tour & tastings w/platter for 2, 51% off! 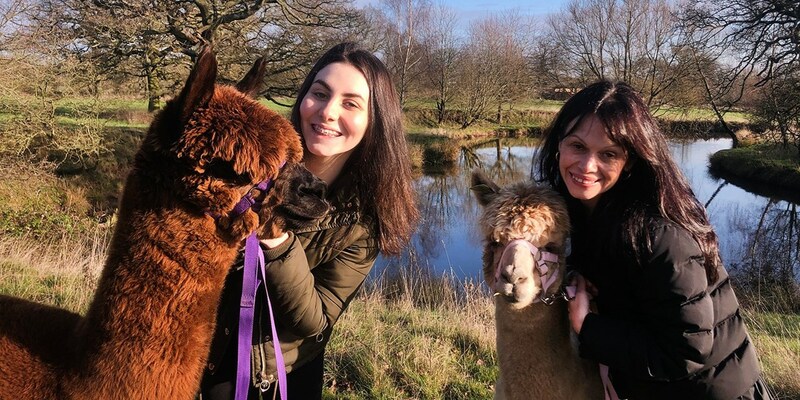 You and a friend can now dine on a sharing platter of local produce, take a winery tour and taste six award-winning wines and ciders at Hush Heath Winery near Staplehurst for £29 -- that's 51% less than the regular price. You can find more great unique stocking filler gifts under £20 too here and on the deep link below! BLACK FRIDAY CODES! 24 HOURS ONLY! Grab £5 or £10 off your Travelzoo order, TODAY ONLY! Up to £10 off your order this Black Friday! As it’s Black Friday, for today only we’d like to treat you to an extra £5 off anything priced at £50 or more, or an extra £10 off anything £100 and over, making our already discounted experiences an even better deal. 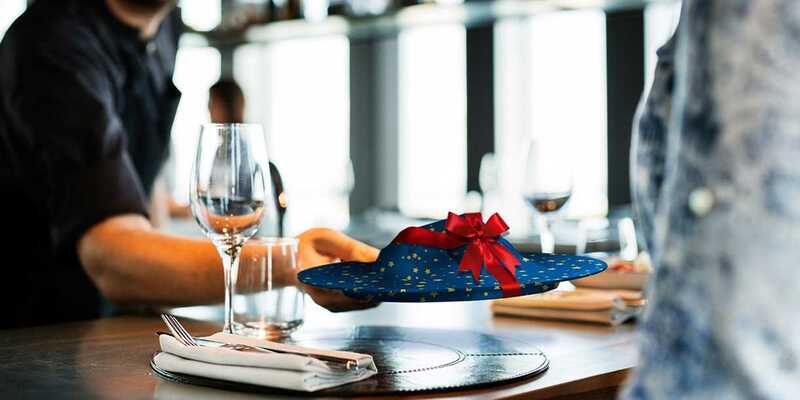 We’ve hundreds of dining experiences, spa packages, activities, hotel getaways so treat yourself or bag a memorable Christmas gift for a loved one. Find the perfect christmas gift this year with Travelzoo & use our Black Friday codes for even more savings! 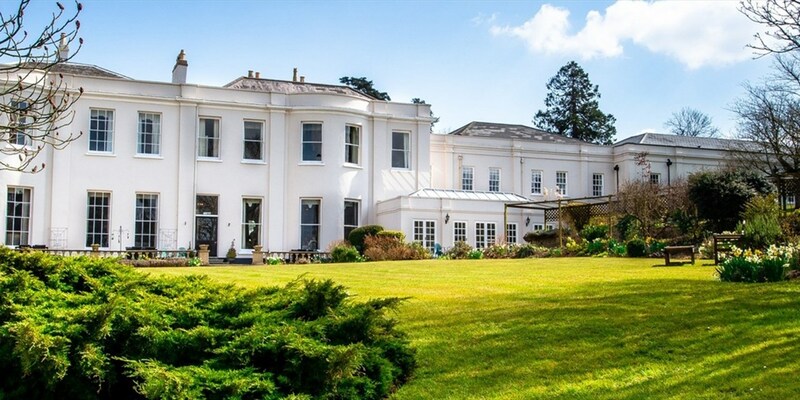 Luxury Devon retreat w/breakfast & prosecco, 47% off! 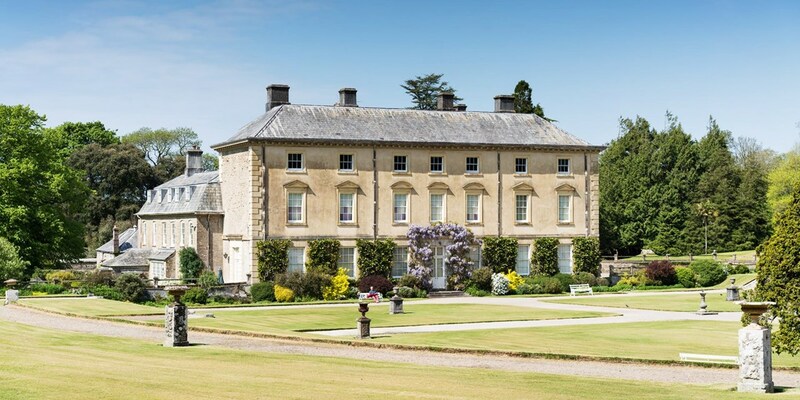 Overnight stays at Bovey Castle -- an AA 5-Red-Star country-house hotel within Dartmoor National Park that is praised by The Daily Telegraph for its "beautiful" views and "gorgeous period features" -- are now £169. That's up to 47% off the regular rates. The Lake District town of Ambleside has a stunning backdrop of mountains and a plethora of walks and hikes to pick from. 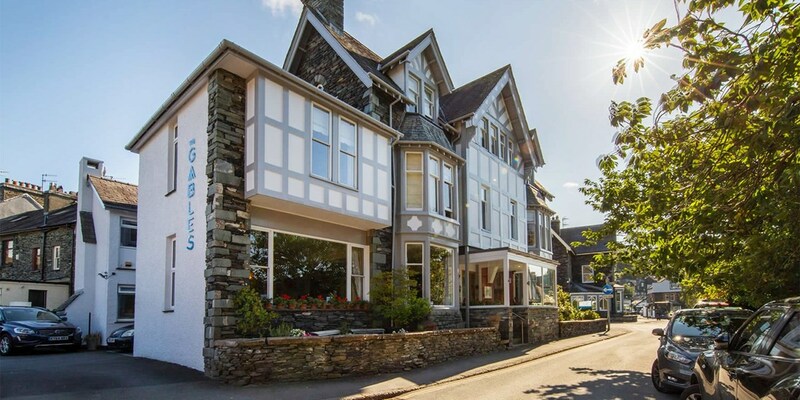 A 2-night escape at The Gables, a Victorian property near the centre of town, is now £99 -- saving up to 47% on the usual price. 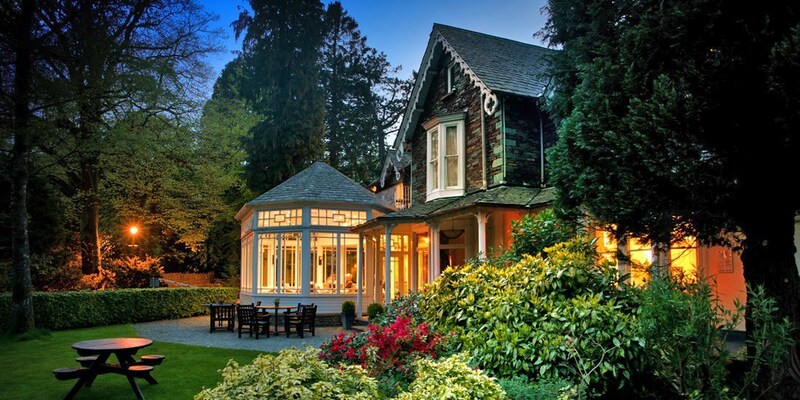 York townhouse getaway w/3-course dinner, save 44%! Save up to 44% on overnight breaks for two at a Grade II-listed Regency townhouse in York -- "a city of extraordinary cultural and historical wealth" (Lonely Planet). 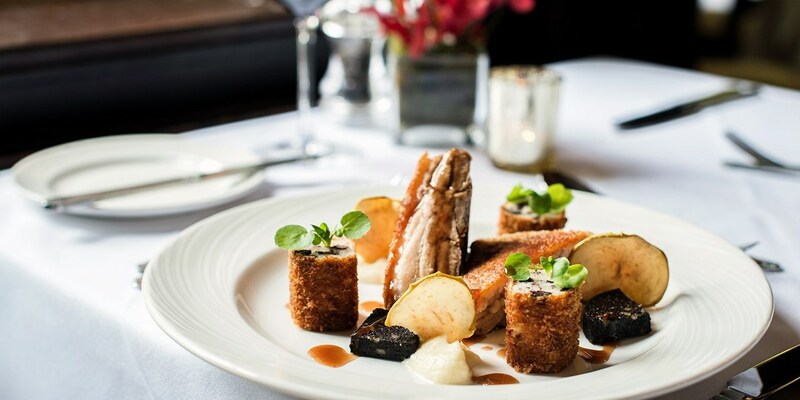 For less than £68 per person, this package from The Grange Hotel York includes full English breakfast and dinner for two in the 2-AA-Rosette restaurant. Merseyside: pampering package w/3 treatments & bubbly, 52% off! 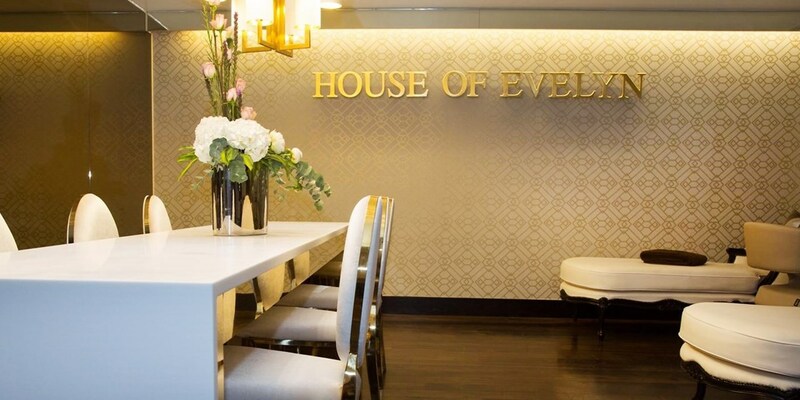 You can now visit the House of Evelyn spa in Southport for a pampering package for less than half the usual price. 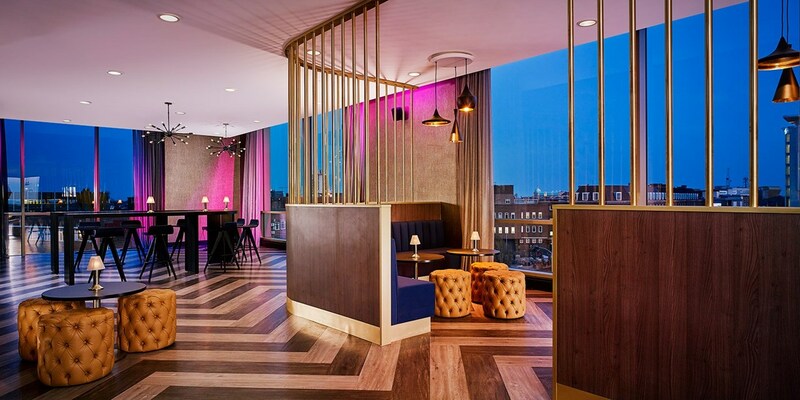 Part of the "stylish" (The AA) Vincent Hotel, the spa is offering three treatments and afternoon tea for £69. Travelzoo's christmas gift guide is here! The countdown to Christmas has begun, find the perfect christmas gift this year with Travelzoo! 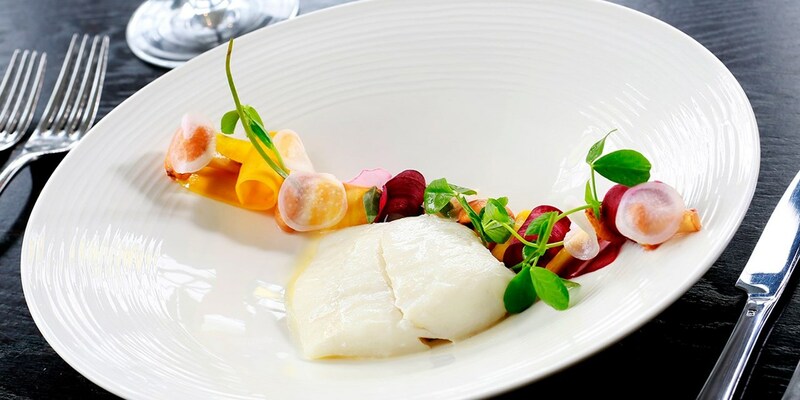 Cumbria: 2-course lunch & spa access for 2, Only £45! 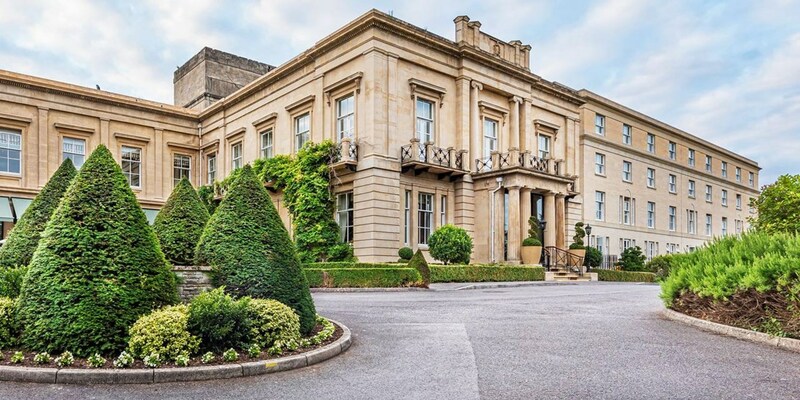 For £45, you and a friend can visit the 4-bubble (The Good Spa Guide) Netherwood Hotel & Spa for lunch and a pamper treat, saving up to 43% on the regular cost. Spanish hamper w/food & wine (exc P&P), Up to 51% off! 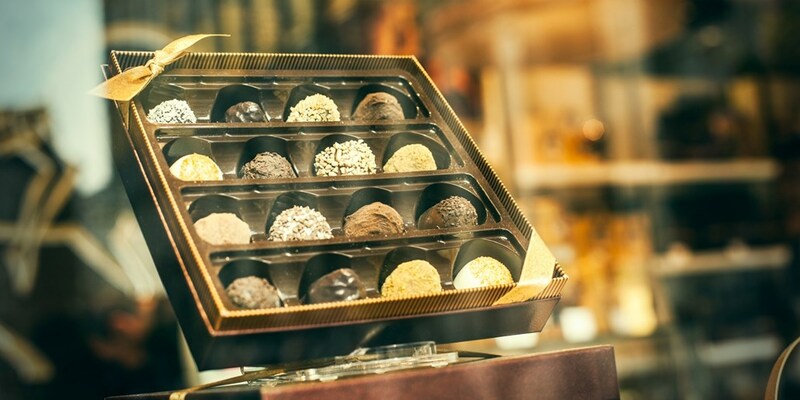 Dewar's whisky- & chocolate-tasting tour for 2, Only £25! 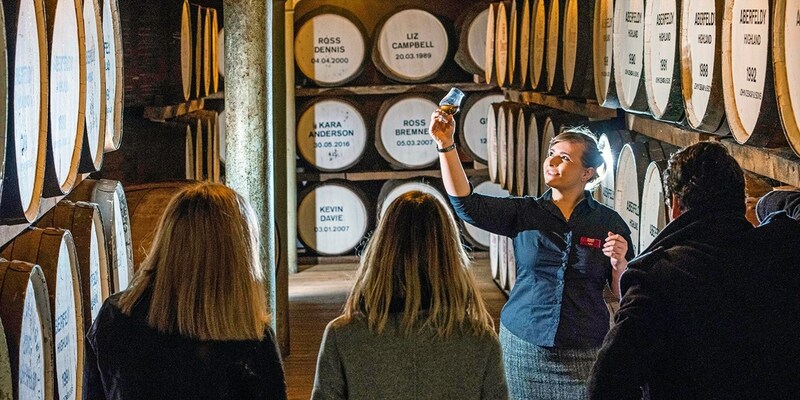 You and a friend can now visit Dewar's Aberfeldy Distillery for a whisky- and chocolate-tasting tour for less than £13 a head. Valid Monday-Saturday until 20 December, 2018; 4-31 January, 2019; 1-31 March, 2019. This experience takes place once a day, starting at 10am. 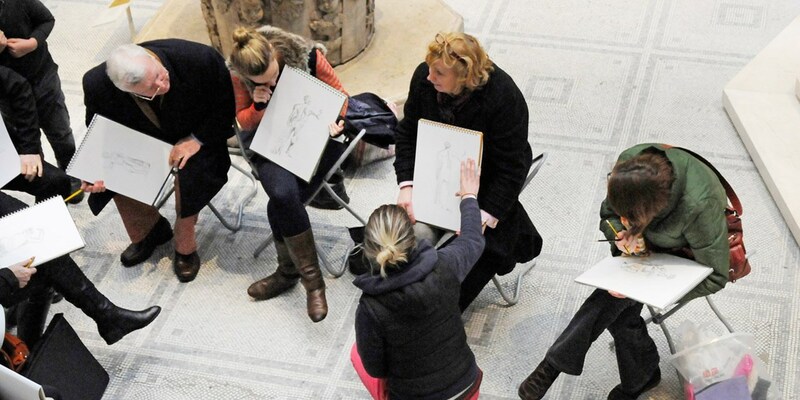 Full-day drawing workshop at the V&A Museum, Only £49! Learn to sketch with this offer from Sketchout for a 1-day introductory drawing workshop at the Victoria & Albert Museum in London. Now £49 a head, it saves 55% on the usual price. Massage, facial & afternoon tea at Newcastle spa, Only £65! The Mineral House Spa at the city-centre Crowne Plaza Newcastle is offering Travelzoo members a spa package including up to 55 minutes of treatment time and afternoon tea for £65. Witshire: overnight stay with dinner & coffee for 2, Only £85! 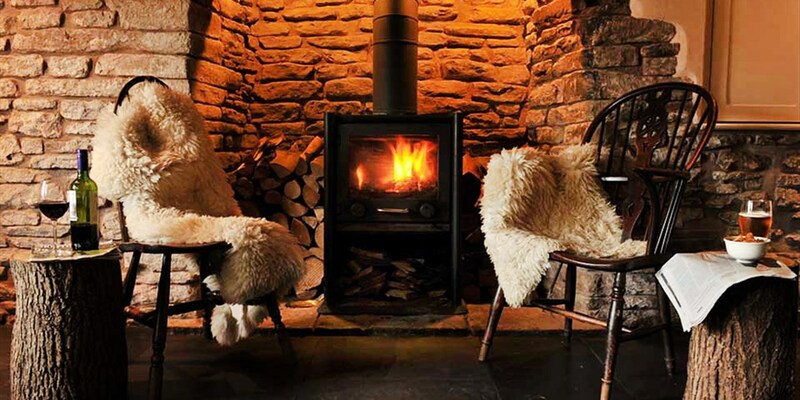 The George & Dragon, in the village of Rowde near Devizes, is an "attractively traditional" Tudor coaching inn with a "rustic country finish", according to The AA, which awards the property two Rosettes. 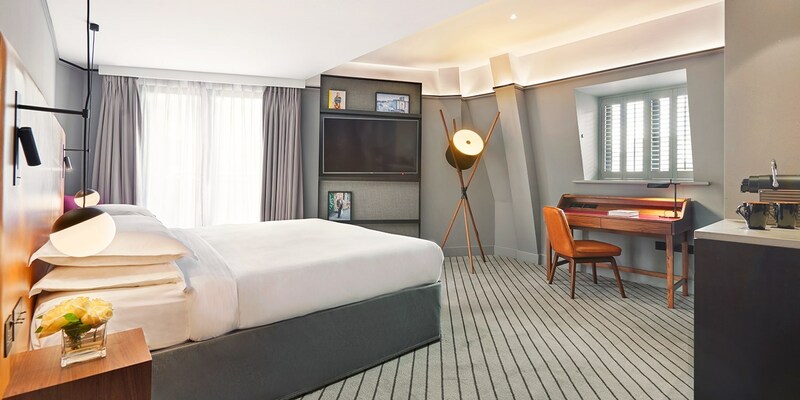 You can now get an overnight stay for two with breakfast and a 3-course dinner for £85 -- that's up to 53% less than usual. 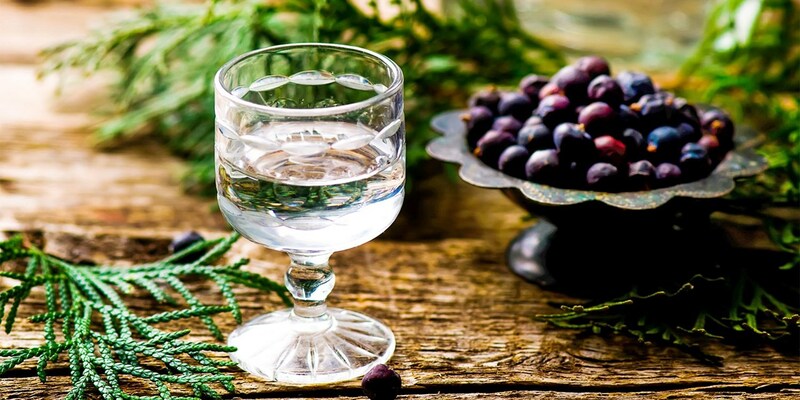 Gin-making distillery experience with tour & tastings, Only £59! 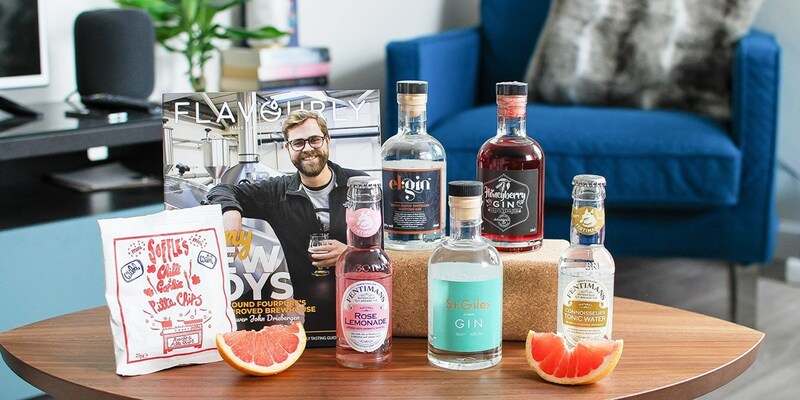 Try your hand at distilling gin with this offer from Brennen & Brown -- for £59, you'll get to spend an afternoon learning about the art of gin making, before getting to work in the lab and producing your own bottle. 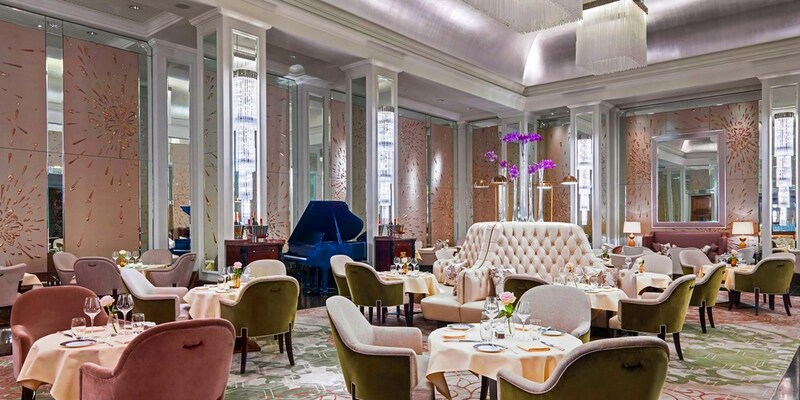 2-course dinner, prosecco & live jazz in Mayfair, Only £29.50! 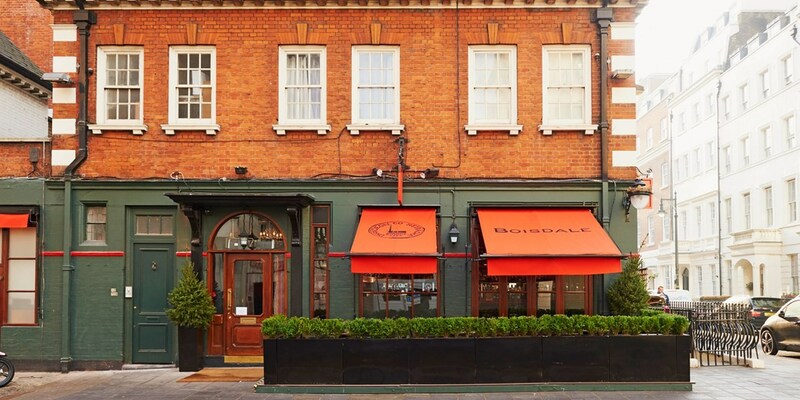 Boisdale of Mayfair serves "traditional Scottish fare given an upmarket makeover", says the London Evening Standard. 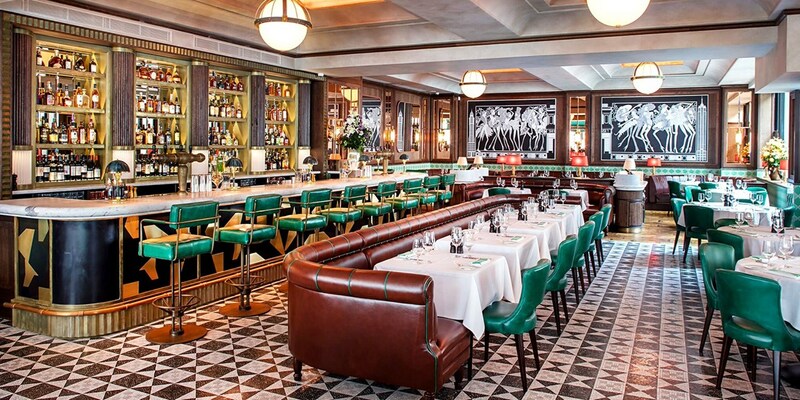 For £29.50 a head, you can get a 2-course dinner with bubbly, accompanied by live jazz. Valid 6-10pm Tuesday-Saturday until 31 March, 2019. 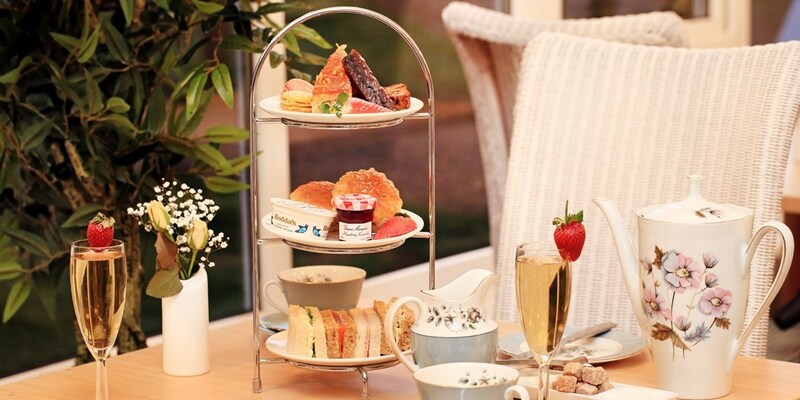 Cheshire country house: afternoon tea for 2 with bubbly, Only £26! Mere Court Hotel is an "elegant" hotel set in "charming gardens", according to The AA, which awards the property a Rosette. For £26, you and a friend can take afternoon tea with bubbly -- this deal is exclusive to Travelzoo members. 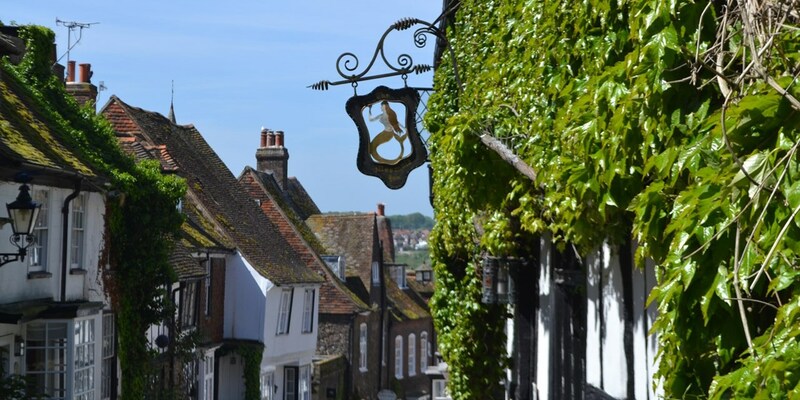 Sussex: 'handsome' coaching-inn stay in Rye, Only £99! 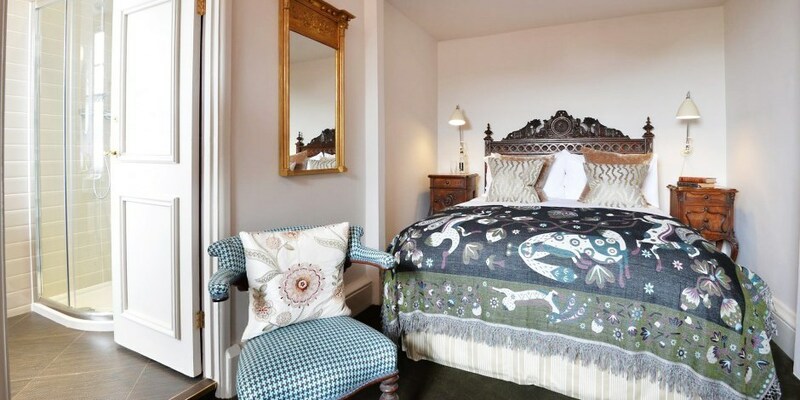 If you are a foodie, an antique and art lover, and like staying in historic properties with contemporary designs, then The George in Rye is an ideal getaway for you. 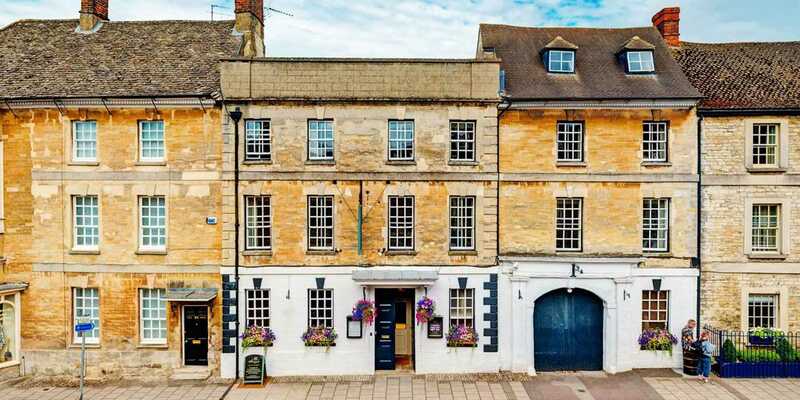 An overnight stay at this boutique coaching inn, which has featured in Condé Nast Traveller, is now less than £50 per person. Fresh local deals & early Christmas gifting! 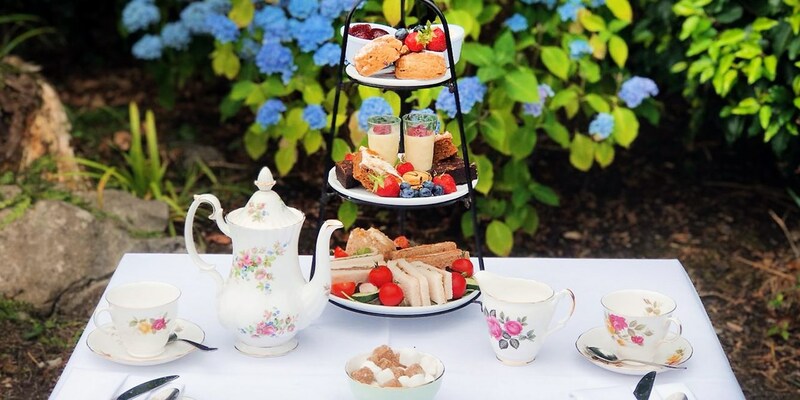 Afternoon tea for 2 with G&T or prosecco near Newquay, Only £19! 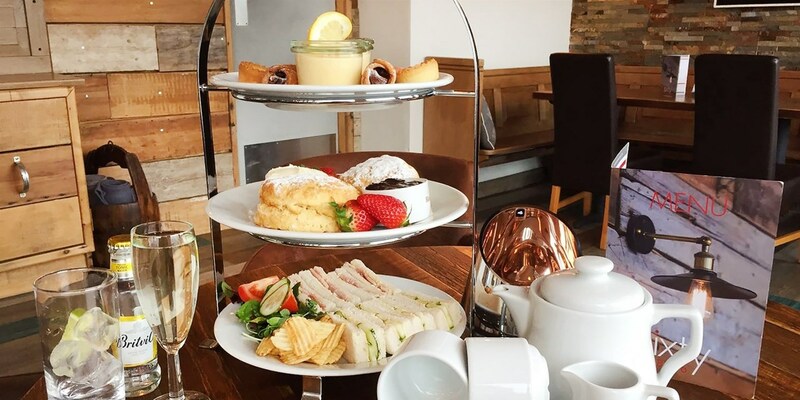 You and a friend can get afternoon tea with a gin and tonic or a glass of prosecco for £9.50 a head at Pentire Hotel, which is west of Newquay, between Fistral Beach and the Gannel Estuary. Cumbria: half-day spa package inc treatment & lunch, Only £55! 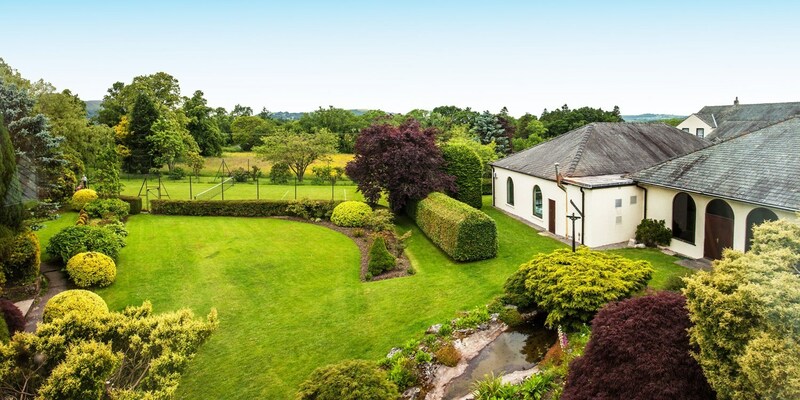 The Garden Spa at Appleby Manor Country House Hotel is "an impressive addition to the property", according to The Good Spa Guide, which awards it a 4-bubble rating. 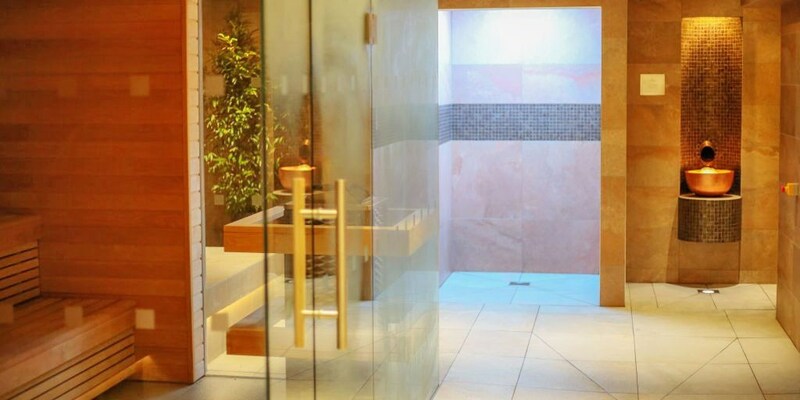 For £55, you can now get access to the thermal suite, a 25-minute treatment, and lunch. You can also upgrade to a full spa day for £69 a head. 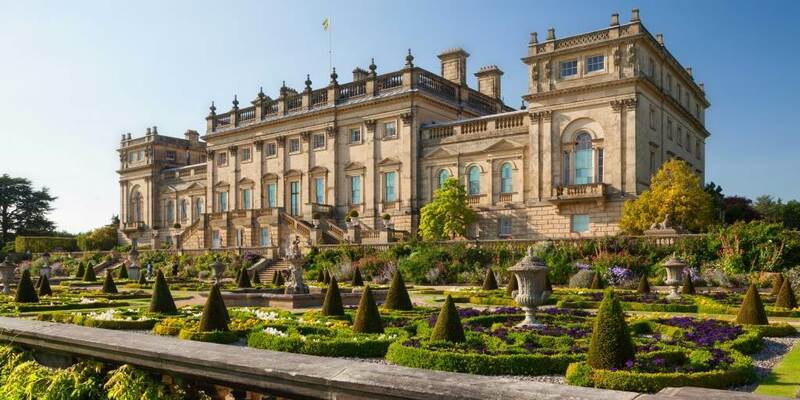 2-night North Yorkshire getaway inc perks, save 62%! 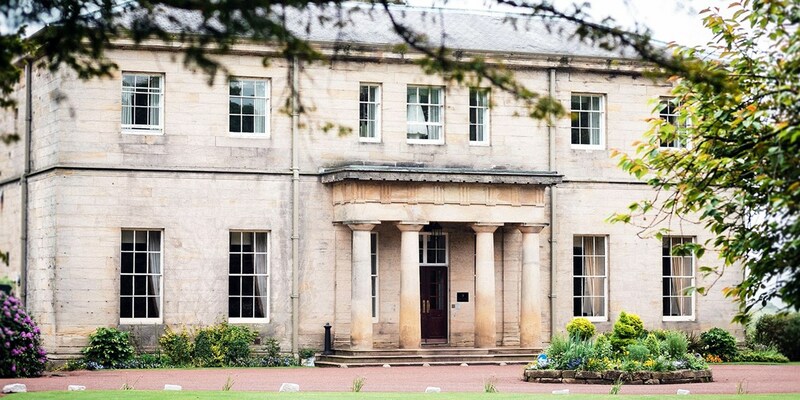 Best Western Burn Hall Hotel is set among the "lush green valleys" and "flower-bedecked villages" (Lonely Planet) of North Yorkshire, and is less than 20 minutes' drive from the medieval city of York. 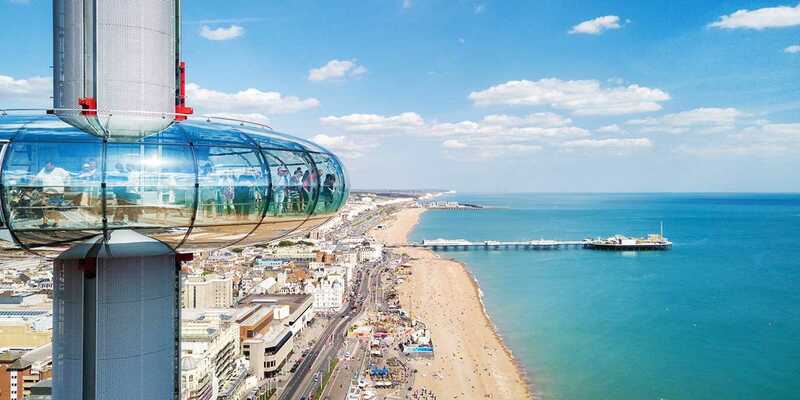 A 2-night stay for two is now £79, saving up to 62% on the usual price. Yorks vineyard tour, tasting & afternoon tea for 2, Only £35! 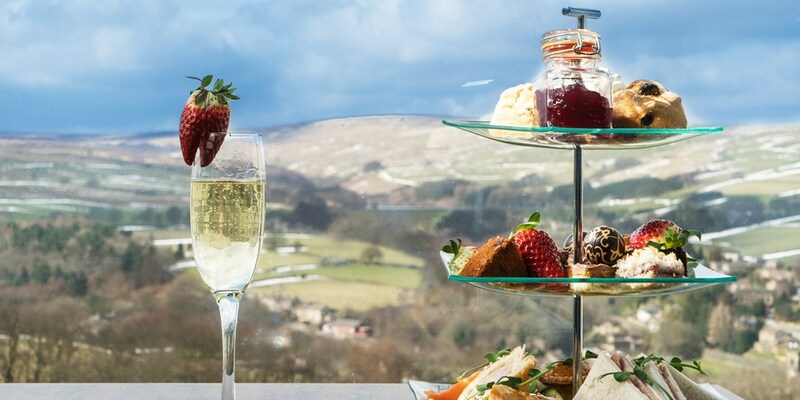 This winter, you and a friend can enjoy afternoon tea followed by a vineyard tour and wine tasting at Holmfirth Vineyard for £35 -- that's a 36% saving on the usual price. 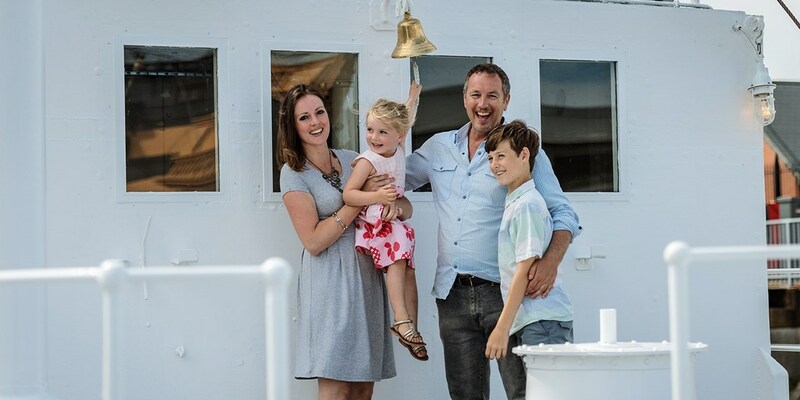 Portsmouth Historic Dockyard: adult annual pass, Only £19.50! You can now get an annual pass for one adult to Portsmouth Historic Dockyard -- which is home to HMS Victory and HMS Warrior 1860 -- for £19.50, saving over £11 on the usual price. 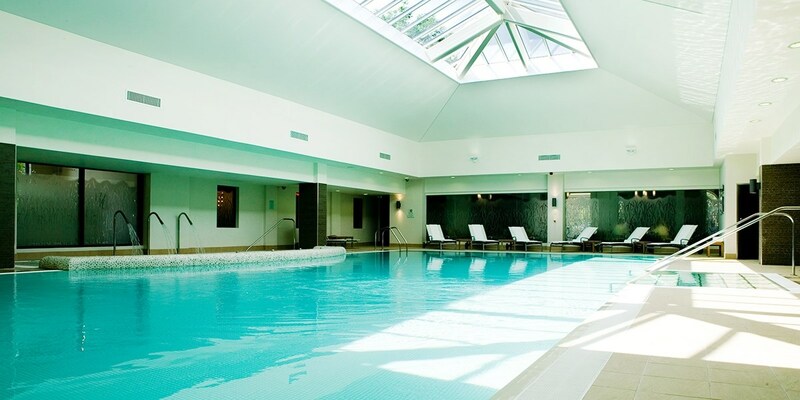 Bournemouth spa day w/treatment & afternoon tea for 2, Only £59! 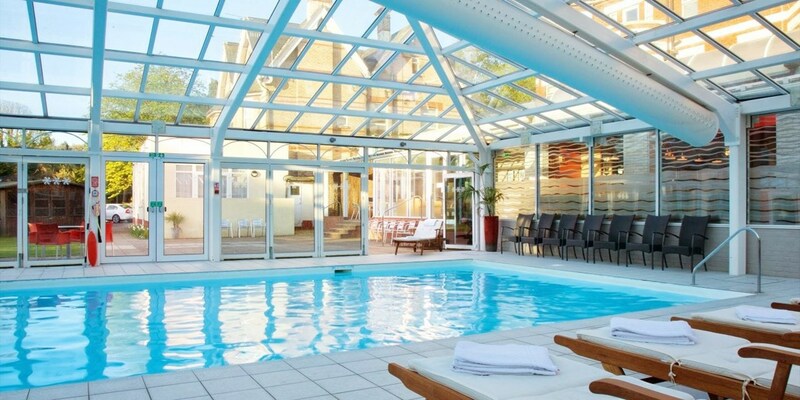 You and a friend can now visit Bournemouth West Cliff Hotel for a spa day with treatments, afternoon tea and spa access for less than £30 a head. 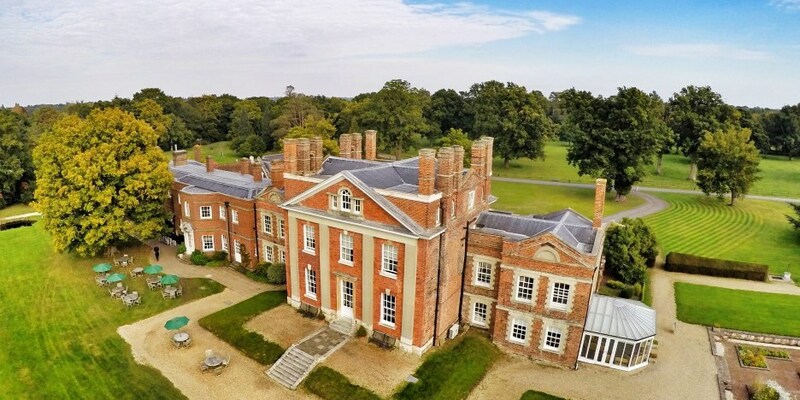 Norfolk escape with cream tea, save 41%! Heacham Manor Hotel in Norfolk is a "beautifully restored" (The AA) Grade II-listed property that is less than 10 minutes' drive from Old Hunstanton's sandy beach in Norfolk. 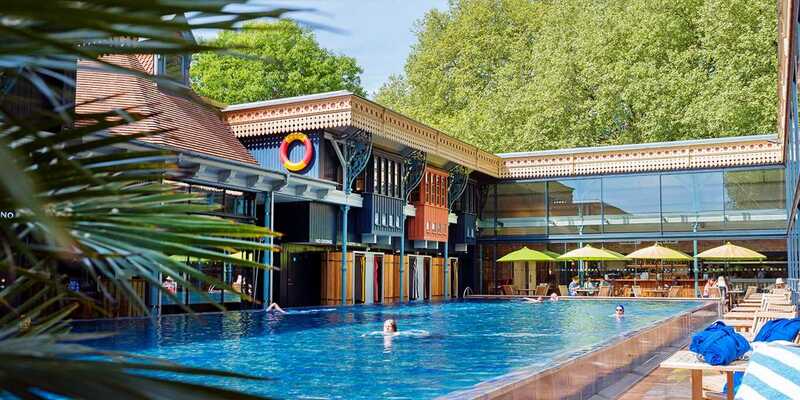 An overnight stay there is now £69, saving up to 41% on the usual price. 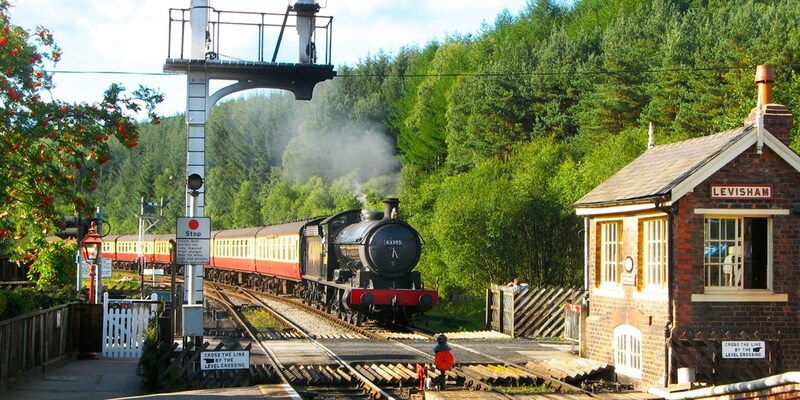 Scenic steam train trip for 2 with refreshments, 43% off! 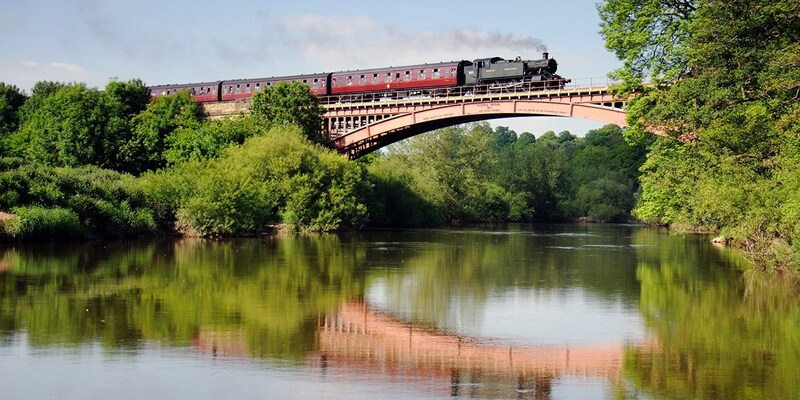 Severn Valley Railway has one of the largest collections of historic locomotives and rolling stock in the UK. You and a friend can now hop aboard the steam-hauled trains and enjoy unlimited all day travel, plus a tea or coffee, for £12.50 a head. 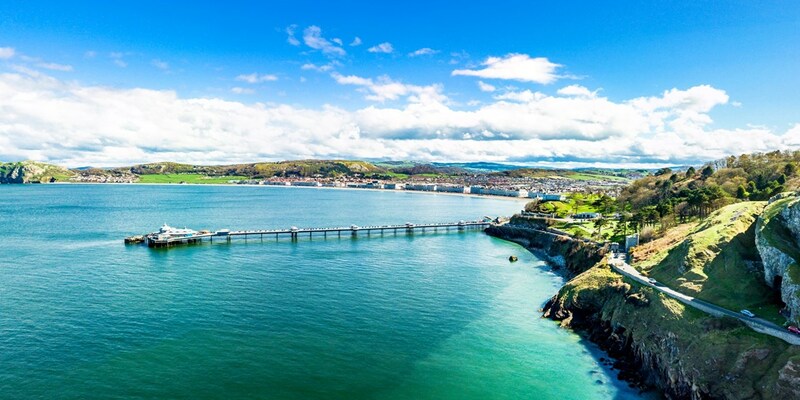 Llandudno stay with sea views & wine, 47% off! It's never to early to start planning Christmas! 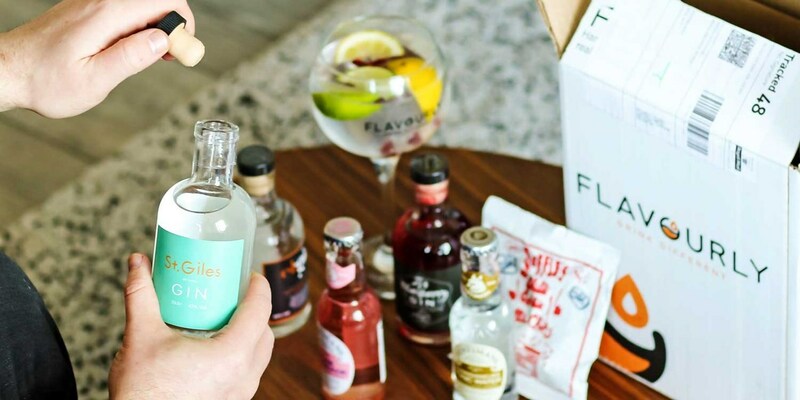 Craft-gin box with mixers & snack & includes postage, Only £18.99! 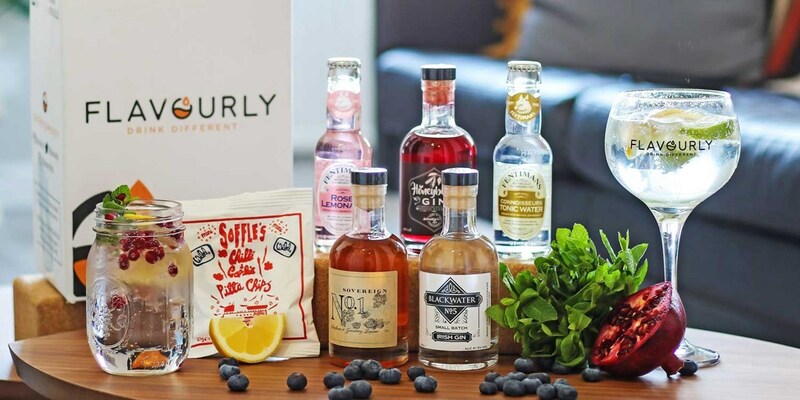 You can now get a gin hamper from Flavourly -- which includes three craft gins, plus mixers and a snack -- for £18.99, saving up to 45% on the regular cost. 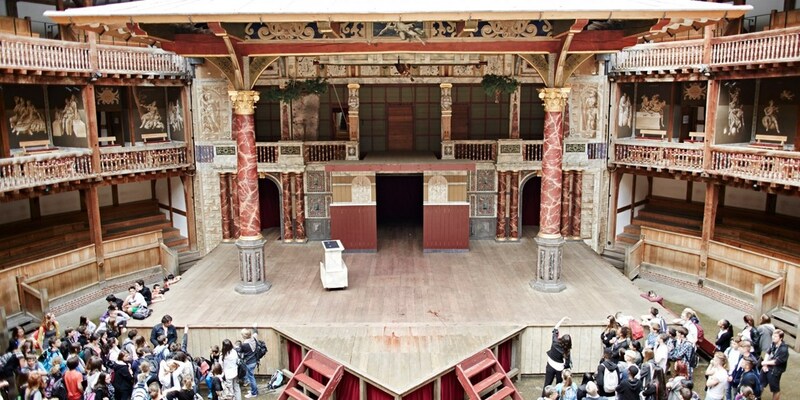 Shakespeare's Globe tour & exhibition, save 35%! Visit Shakespeare's Globe for a "fascinating" (Lonely Planet) guided tour, including access to the exhibition, for £11 -- saving 35% on the usual cost. Pamper day with massage, facial & lunch at 'stylish' spa! 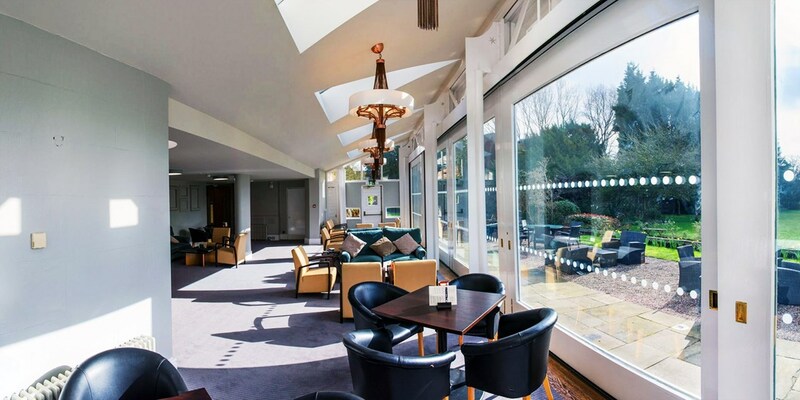 Fredrick's Hotel Restaurant Spa is a "stylish" 4-star property set in "attractive grounds" (The AA) in Maidenhead. For £69, you can now get a spa day, including all-day use of the facilities, 60 minutes of treatment time, lunch and a glass of bubbly. 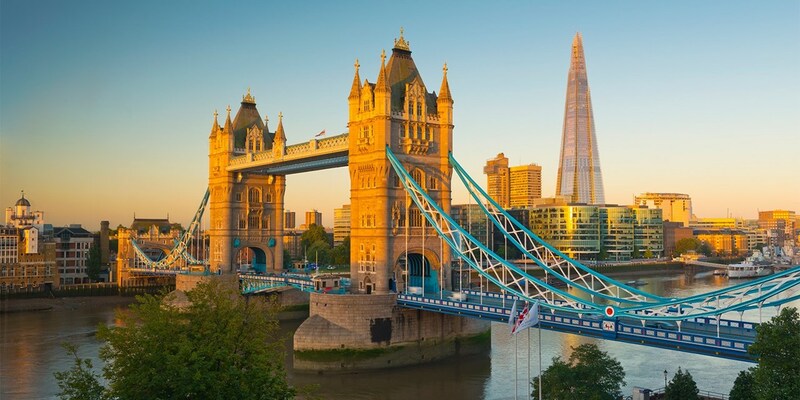 London: evening Thames cruise for 2 with bubbly & music, Only £39! 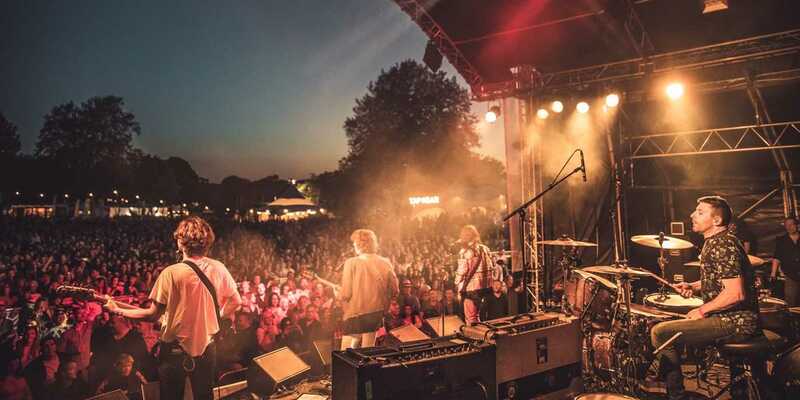 You and a friend can listen to live music while passing some of London's famous landmarks on this evening cruise on the Thames, which includes a glass of sparkling wine and a selection of canapés, for less than £20 a head. 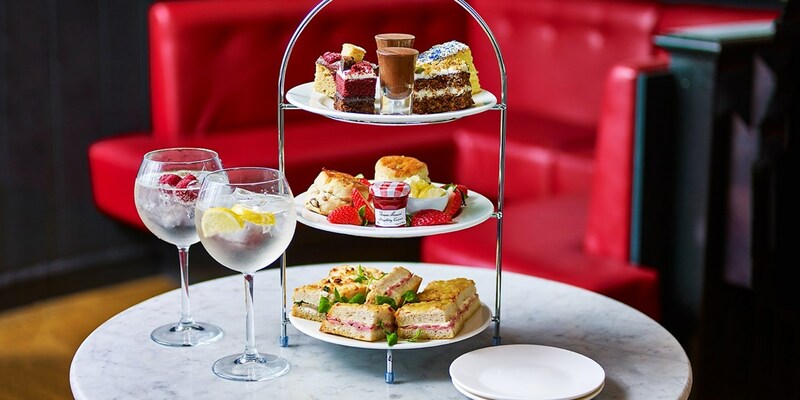 Café Rouge: afternoon tea w/G&T for 2 at 72 venues, Only £19.95! You and a friend can get afternoon tea with drinks at a selection of Café Rouge* restaurants across the UK for less than £10 a head. 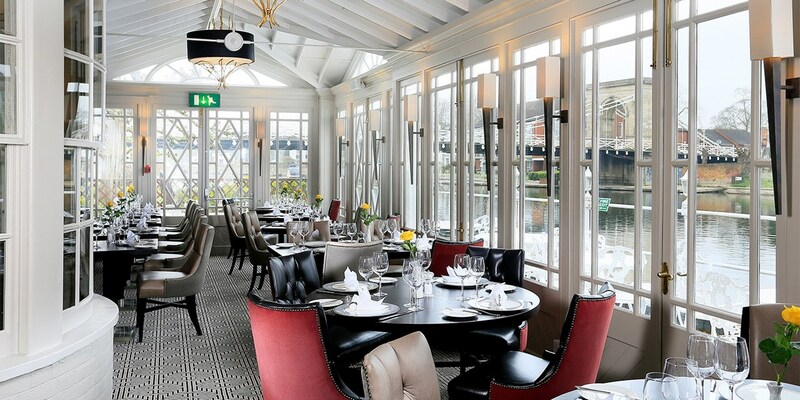 Oxfordshire: 'glorious' 2-course riverside meal for 2! 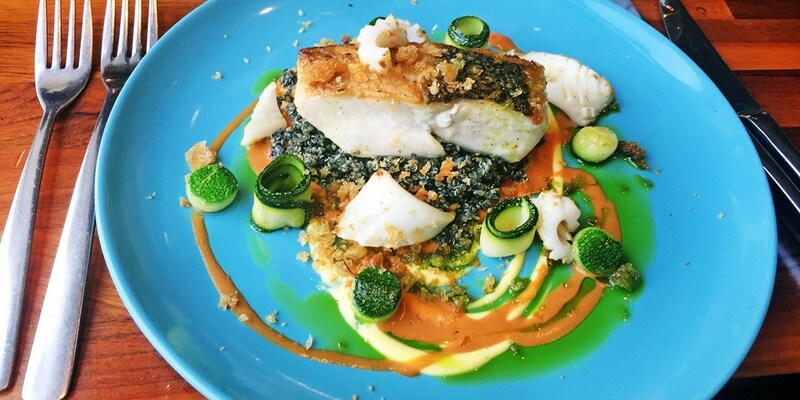 The food is "spot on" at The Beetle & Wedge Boathouse, says Ox Magazine. 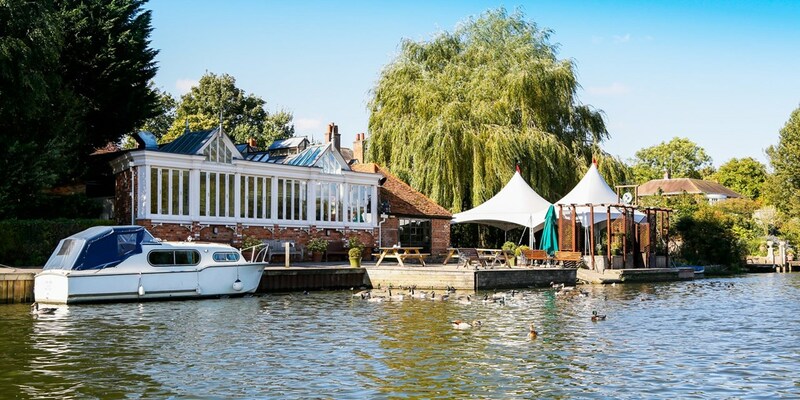 You and a friend can get a 2-course meal at this riverside eatery on the banks of the Thames in Moulsford for less than £18 each. Edinburgh: Nepalese meal & bottle of wine for 2, Only £35! The Everest Restaurant in Edinburgh serves "delicious dishes", according to The Michelin Guide. 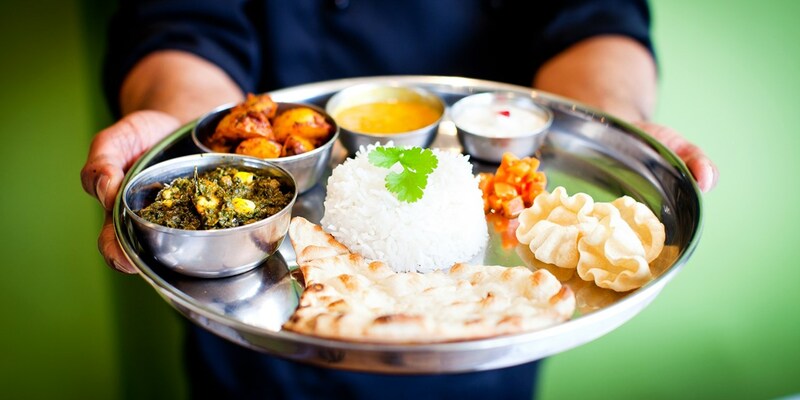 Travelzoo members can now save up to 49% on a Nepalese-Indian meal for two. Usually costing up to £68.65, it's now £35. 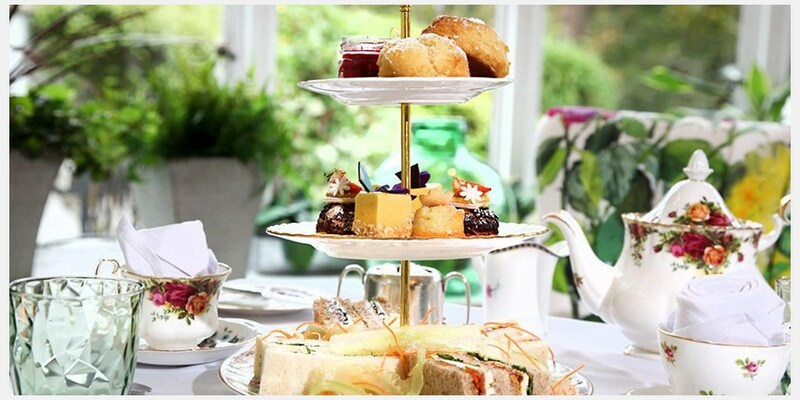 Surrey spa day with sparkling afternoon tea for 2, Only £29! 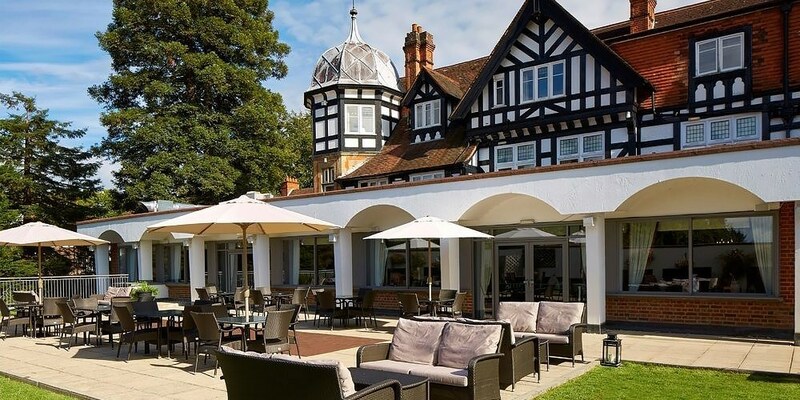 The Hog's Back Hotel & Spa, in the chalk hills of the North Downs in Surrey, is now offering a spa day for two, including sparkling afternoon tea and all-day access to the facilities, for less than £15 a head. 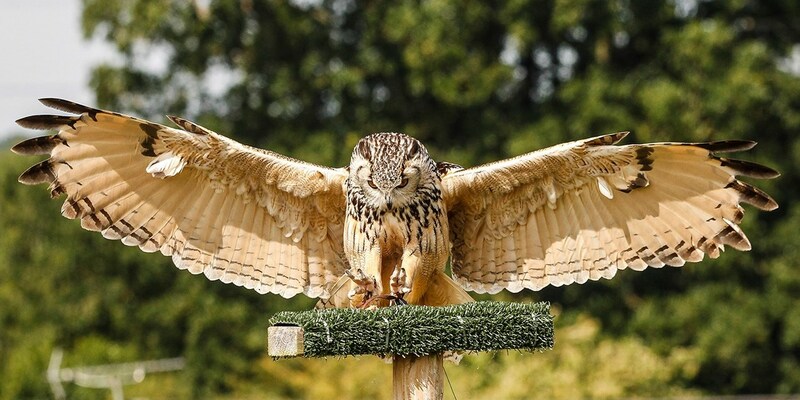 Birds of prey flying & handling experience, 44% off! For £39 instead of the usual £70, you can handle and fly a variety of eagles, falcons, hawks and owls at Yarak Birds of Prey in Devon -- that's 44% less than usual. 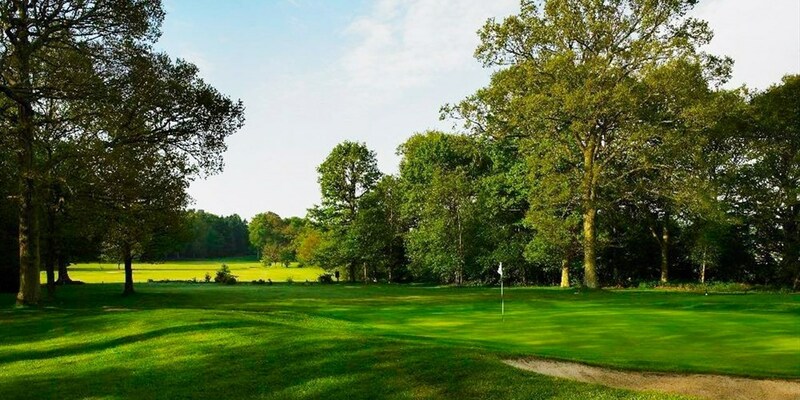 Lingfield Park: 18 holes, bacon roll & coffee for 2, Only £29! Today's Golfer says Lingfield Park Golf Club offers a "great day's sport for golfers of all abilities". 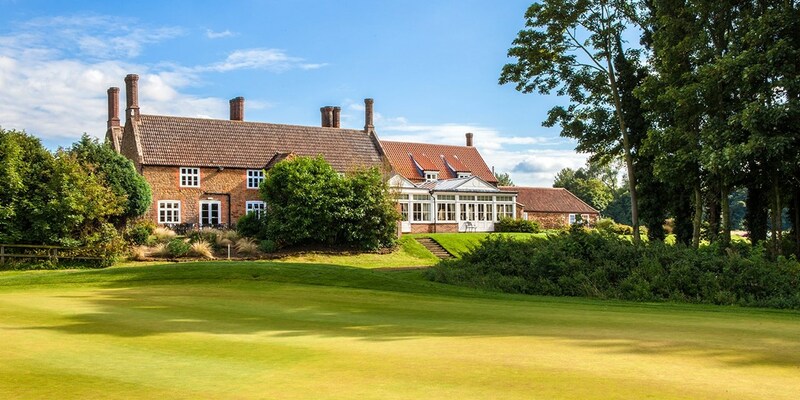 For £29, you and a friend can tuck into a bacon roll and coffee before playing a round of golf, saving 67%. Staffordshire pamper day with massage & afternoon tea, Only £49! 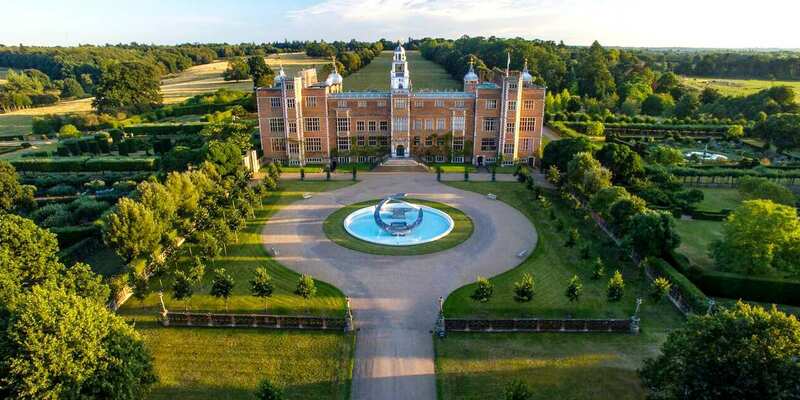 You can now visit the Hilton at St George's Park -- which is set in 330 acres of Staffordshire countryside -- for a spa day, including a treatment, afternoon tea and use of the facilities, for £49, saving 33% on the regular cost. Cumbria: 2-course meal & bubbly for 2, 50% off! 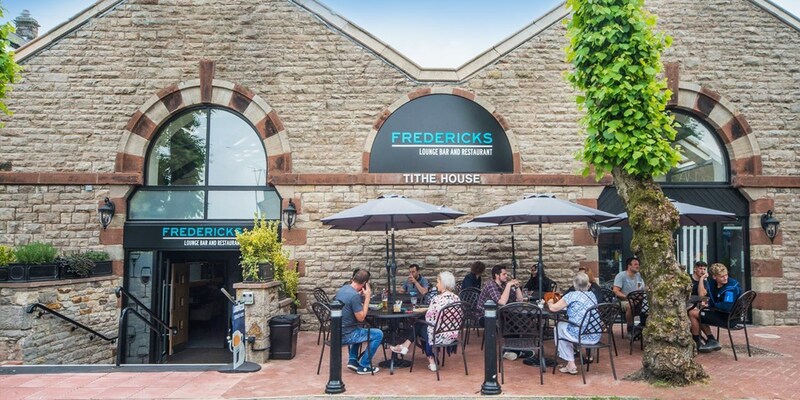 You can get a 2-course meal for two and a glass of prosecco each at Fredericks Lounge, Bar & Restaurant in the Cumbrian market town of Cockermouth for £29 -- that's up to 50% less than the regular price. 'Magnificent' Northumberland castle stay, Only £99! 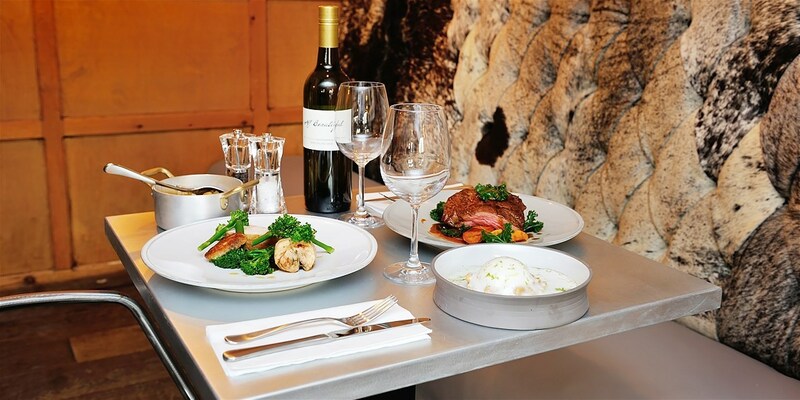 South Bank: 'gorgeous' steak meal inc wine for 2, Only £39! 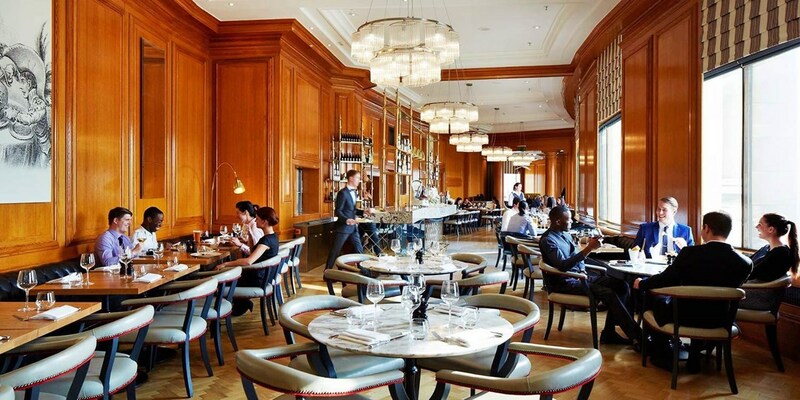 You can expect a "big chunk of gorgeous steak" that is "cooked to perfection", alongside "top class views" (Luxury Hospitality Magazine) at Gillray's Steakhouse & Bar, inside the 5-star London Marriott Hotel County Hall. A steak meal including drinks is now £39 for two. Spa day with massage, facial & bubbly, 54% off! 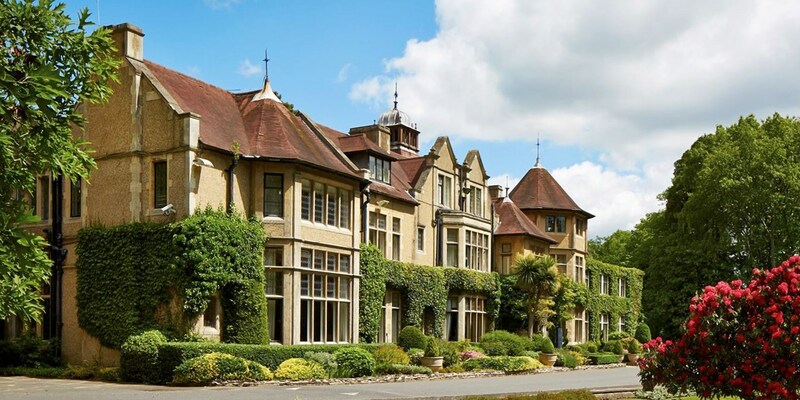 Macdonald Berystede Hotel & Spa, situated in an "impressive Victorian mansion" (The AA) in Sunninghill near Ascot, is now offering a spa day for £49. 2-AA-Rosette dinner for 2 in Pembrokeshire, 42% off! 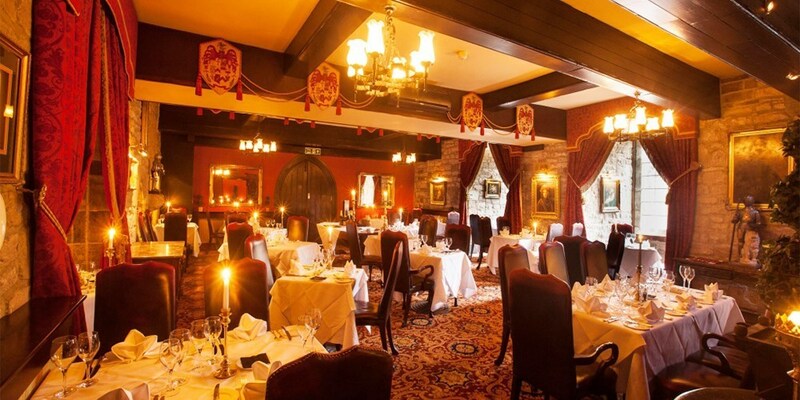 'Creative' 3-course meal for 2 at 'elegant' manor, Only £35! Mere Court Hotel is an "elegant" hotel set in "charming gardens", according to The AA, which awards the property a Rosette. A 3-course meal for two is now £17.50 a head -- that's up to 48% less than usual. 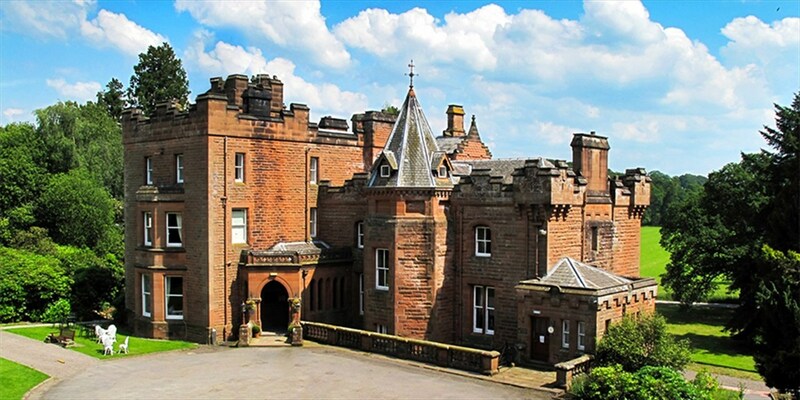 Scotland: historic hotel stay inc dinner & prosecco, Only £109! 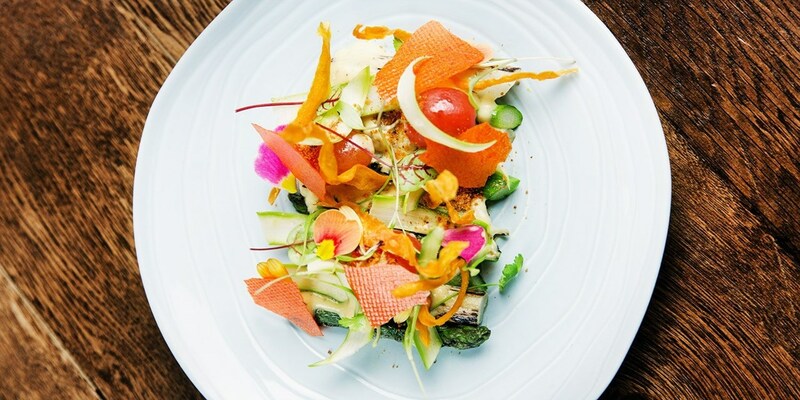 3-course celeb-chef meal for 2 in Birmingham, 49% off! 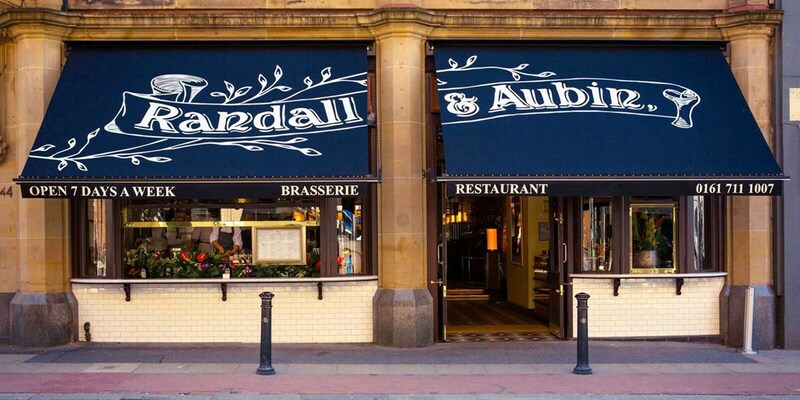 Purnell's Bistro & Ginger's Bar in Birmingham is owned by Michelin-starred celebrity chef Glynn Purnell. You and a friend can now visit for a 3-course meal for £39 -- that's up to 49% less than usual. 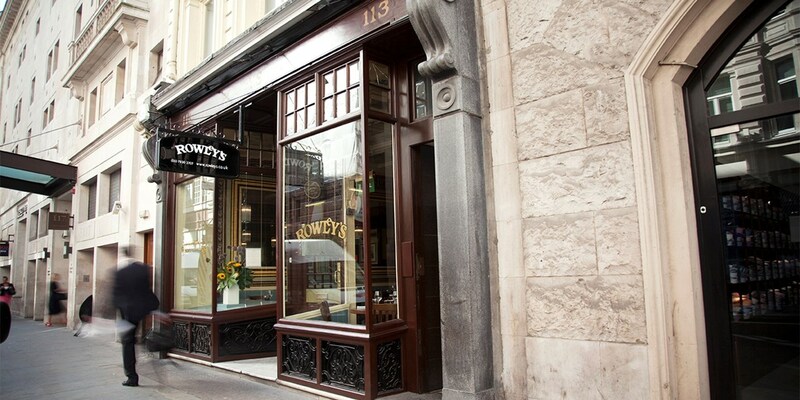 2-course meal & coffee for 2 at 'pretty' Bucks pub, Only £26! 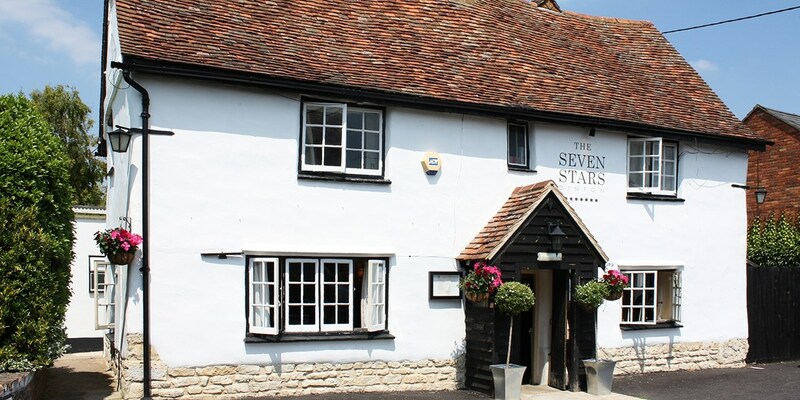 The Seven Stars near Aylesbury is a firm Travelzoo favourite -- 99% of our members who have visited on a previous deal and rated it for us said they loved it. For £13 a head, you and a friend can now visit for a 2-course meal and coffee. 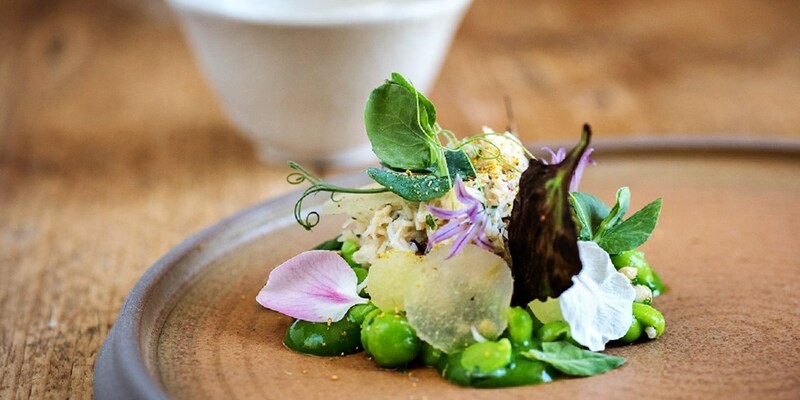 3-AA-Rosette tasting menu for 2 near Harrogate, 42% off! 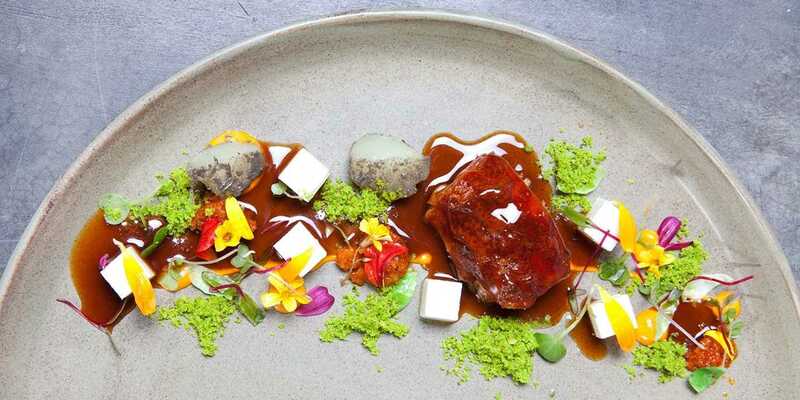 Horto Restaurant at Rudding Park has received rave reviews and been awarded three AA Rosettes. 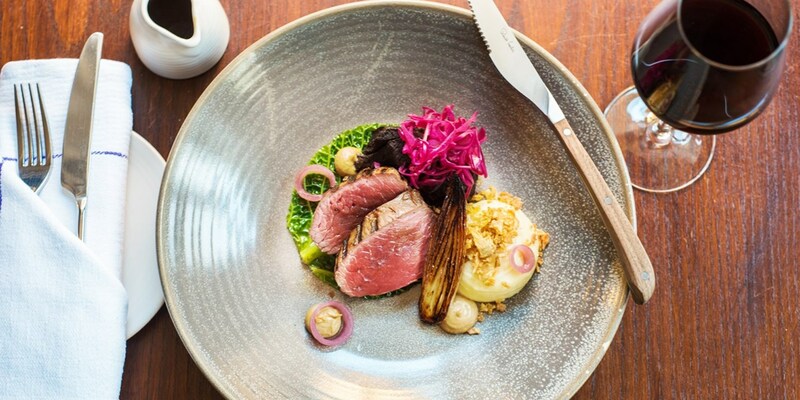 You can now enjoy the 7-course Chef's Menu for two for £79 -- that's 42% less than the regular price. 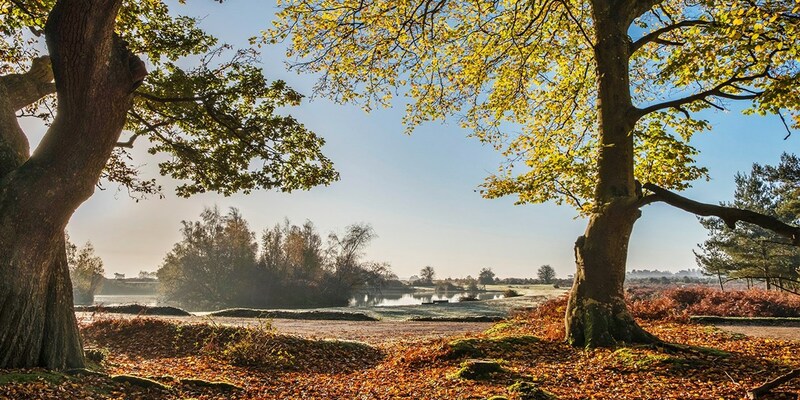 Lakeside spa day with massage & facial near Cambridge, Only £39! 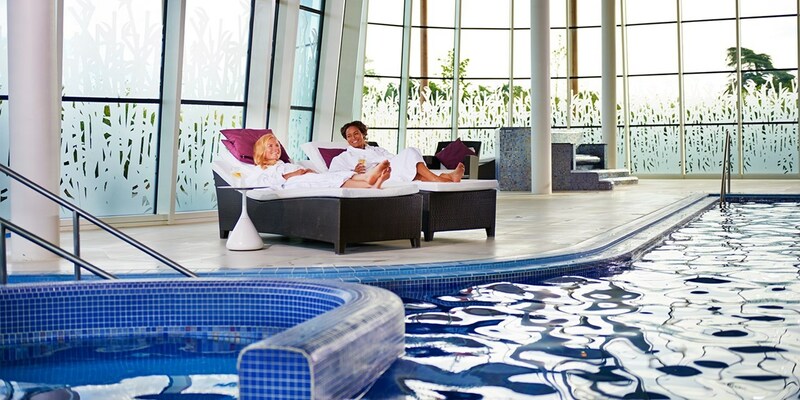 A spa day including two treatments at DoubleTree by Hilton Cambridge Belfry, a lakeside property in Cambourne, is now £39. 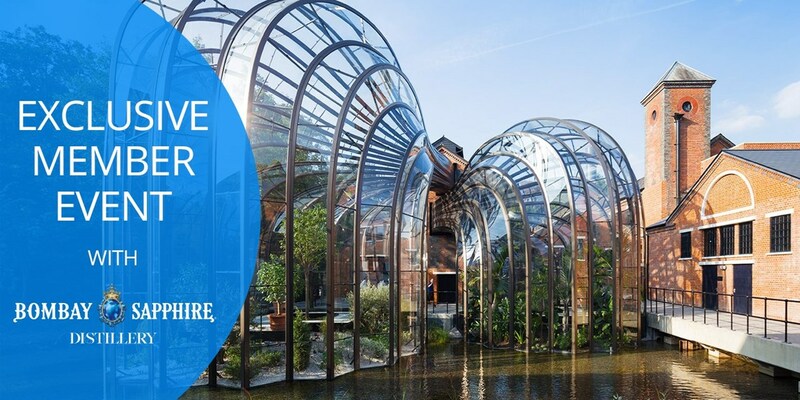 This offer is exclusive to Travelzoo members. 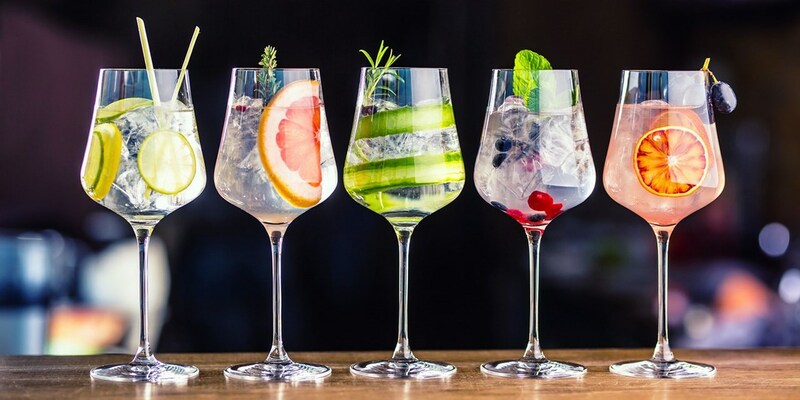 Gin tasting experience for 2 in Cardiff, save 35%! Chapel 1877 Bar & Restaurant in Cardiff is a French-Italian Gothic-themed converted chapel that is recommended in The Good Food Guide 2018. You can now visit for a gin tasting experience for two for £45 -- that's 35% less than usual. 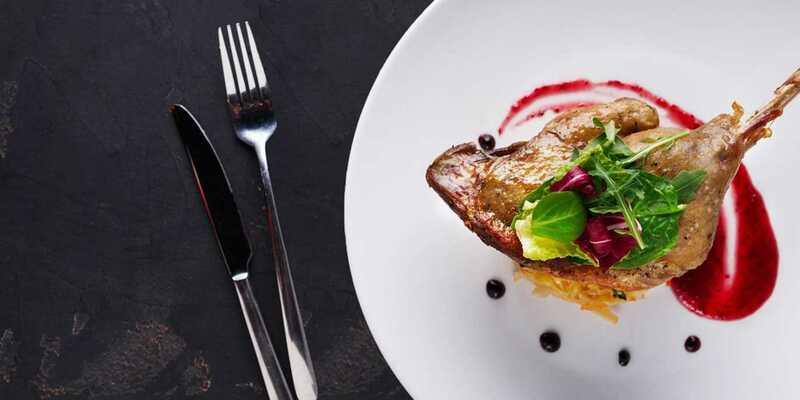 Canalside meal with bubbly for 2 in Cheshire, 48% off! The Dusty Miller is a "beautifully converted" (The AA) 18th-century corn mill beside the Llangollen Canal in the village of Wrenbury. You and a friend can visit for a 2-course meal with bubbly for £16 a head. Lakes spa day with massage, facial & bubbly, 55% off! 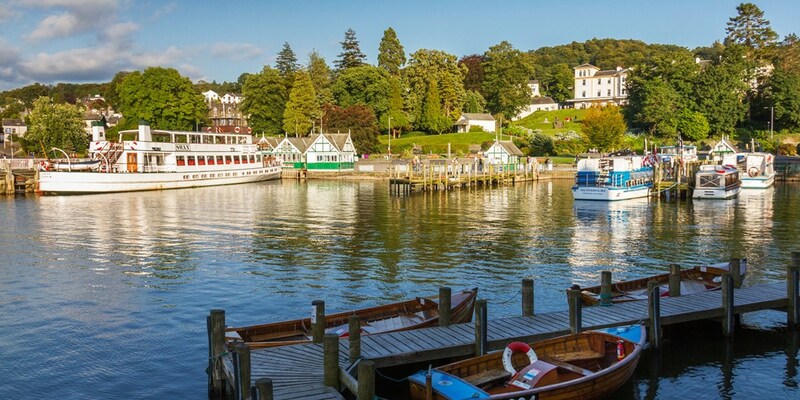 The 4-star Macdonald Old England Hotel & Spa offers "superb" (The AA) views over Lake Windermere. You can now get a spa day with two treatments and bubbly for £49. 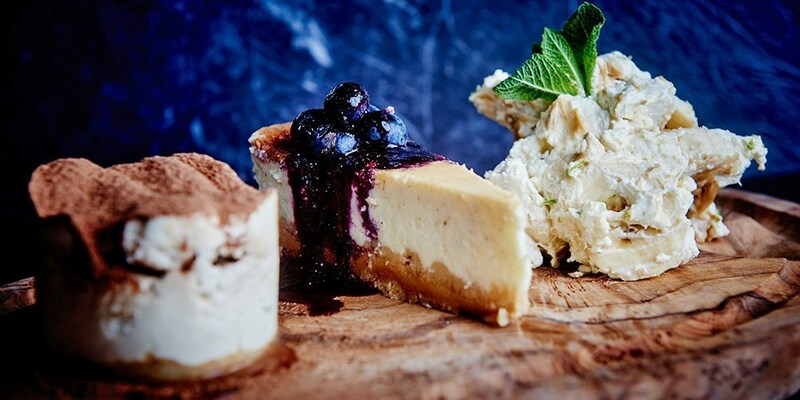 Tapas & bubbly for 2 at 2-AA-Rosette 'foodie haven', Only £25! 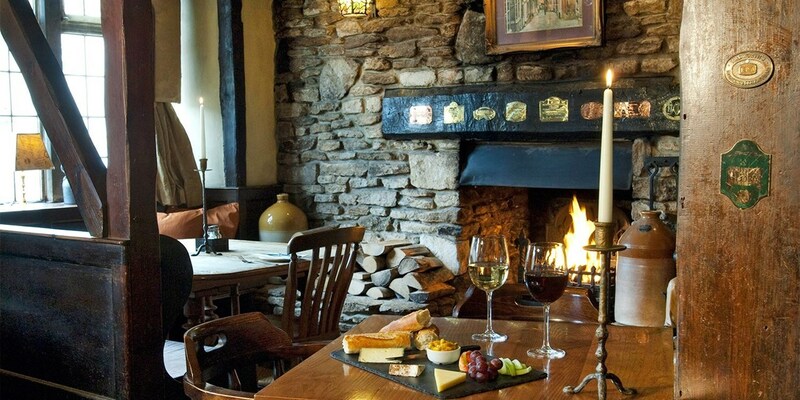 The White Swan Inn in Pickering is a stone-built 16th-century coaching inn that has been awarded two Rosettes by The AA. You and a friend can now visit for tapas and bubbly for £12.50 a head. 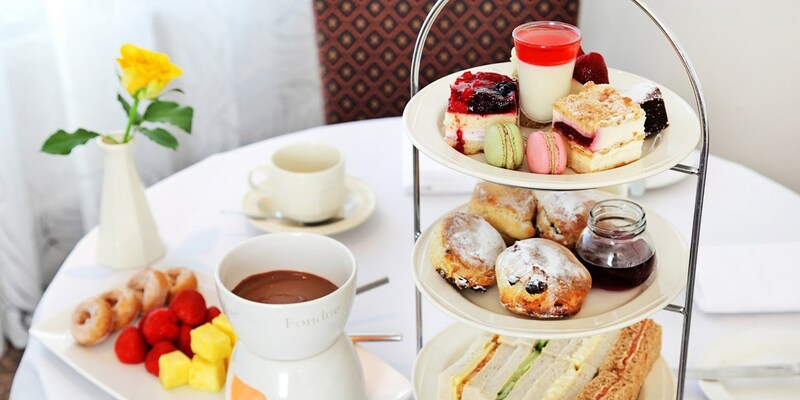 'Chic' Birmingham hotel: afternoon tea & bubbly for 2, Only £35! 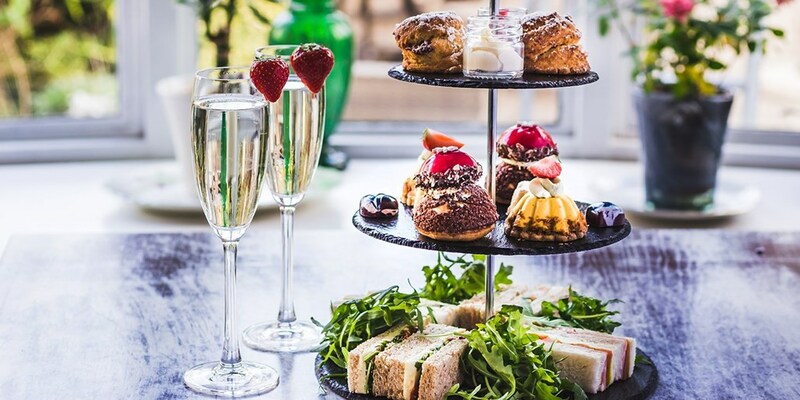 You and a friend can now get afternoon tea with prosecco at the "stylish" (The AA) Hotel du Vin in Birmingham for less than £18 a head -- saving 40% on the usual cost. 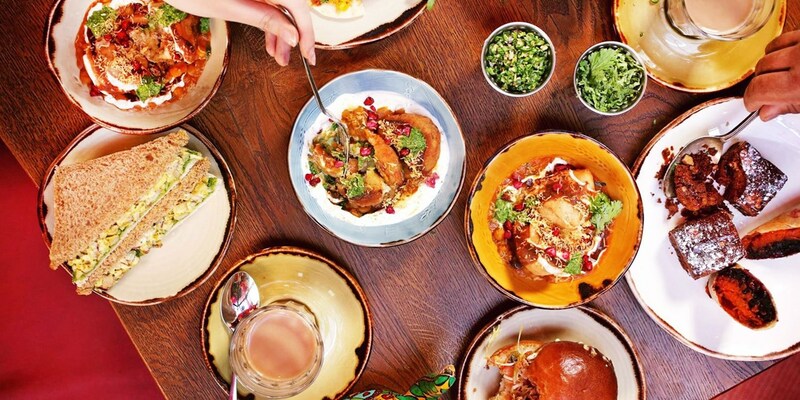 Indian-style high tea for 2 in Covent Garden, Only £29! 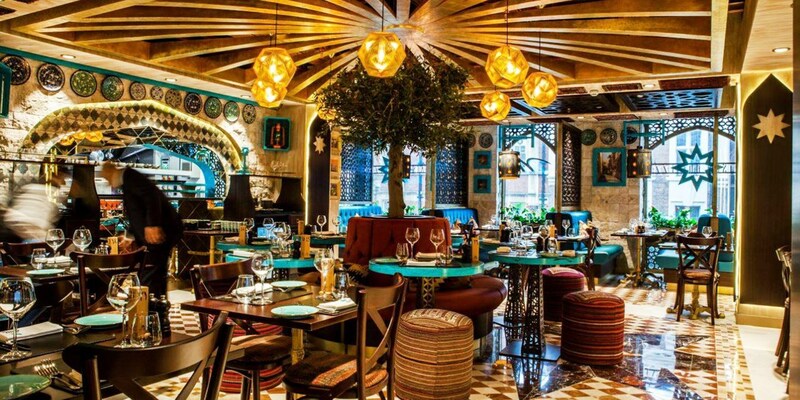 Cinnamon Bazaar in Covent Garden offers a "playful" setting with "bold colours mirroring that of their innovative multi-cultural concept" (Luxury Lifestyle Magazine). You can now enjoy Indian-style afternoon tea and a bellini for £14.50 a head. 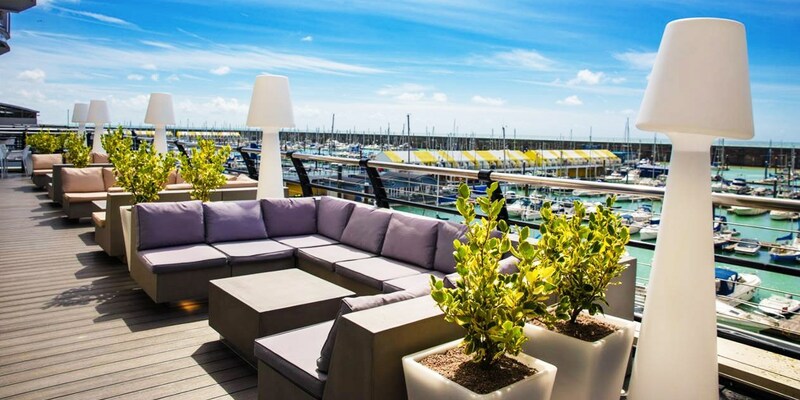 Hull: afternoon tea w/rooftop views for 2, 31% off! 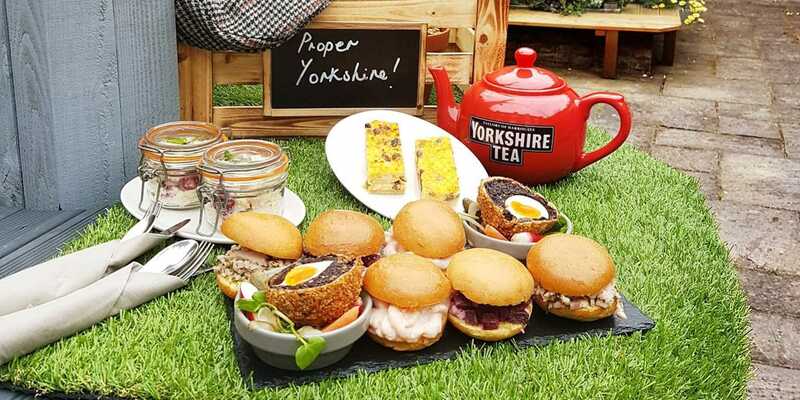 DoubleTree by Hilton Hull is offering afternoon tea for two for £22 at The Lexington, its rooftop bar. 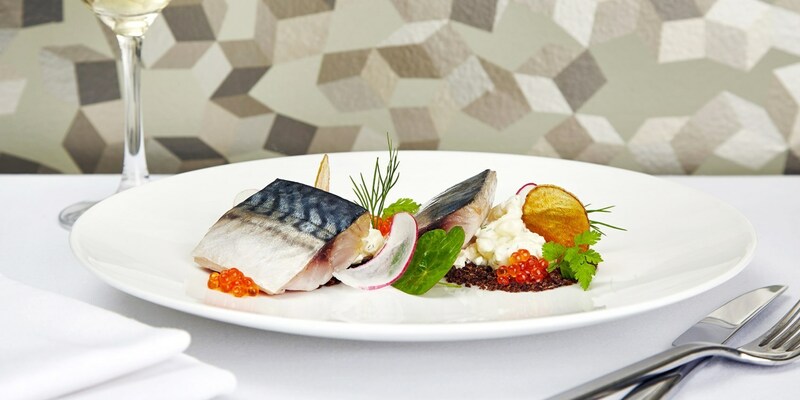 Mayfair: meal & bubbly at 5-star 'gem' of a hotel, Only £25! 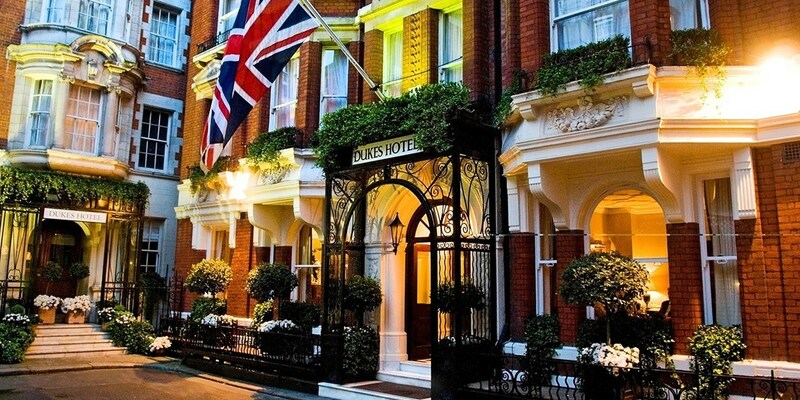 The AA 5-Red-Star* DUKES LONDON hotel is a "gem" (The Daily Telegraph) of a property, dating back to 1908. 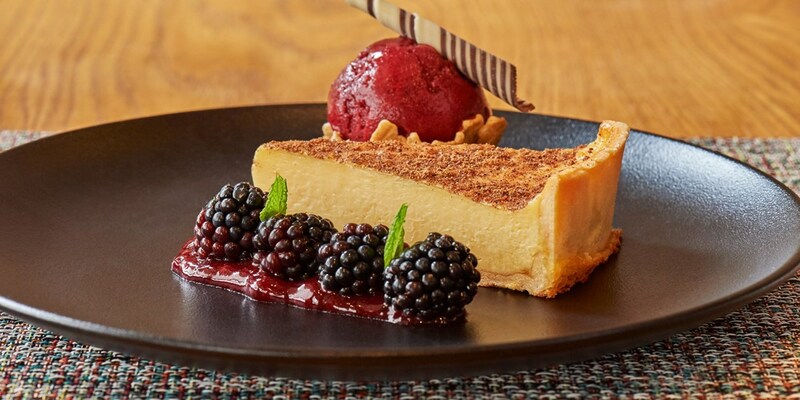 You can now get a 3-course meal with bubbly at the Great British Restaurant within the hotel for £25 a head, saving up to 39% on the regular cost.